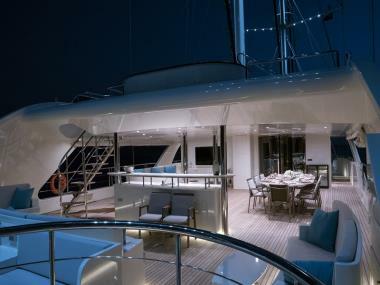 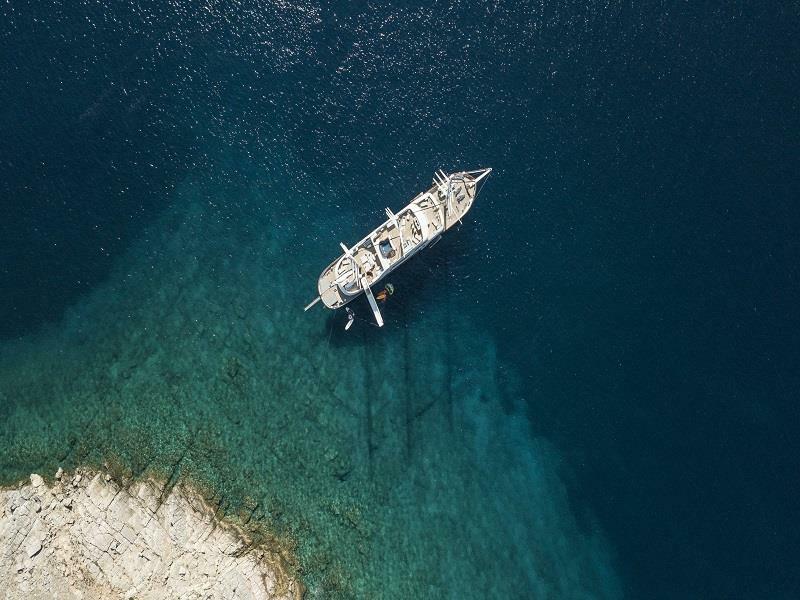 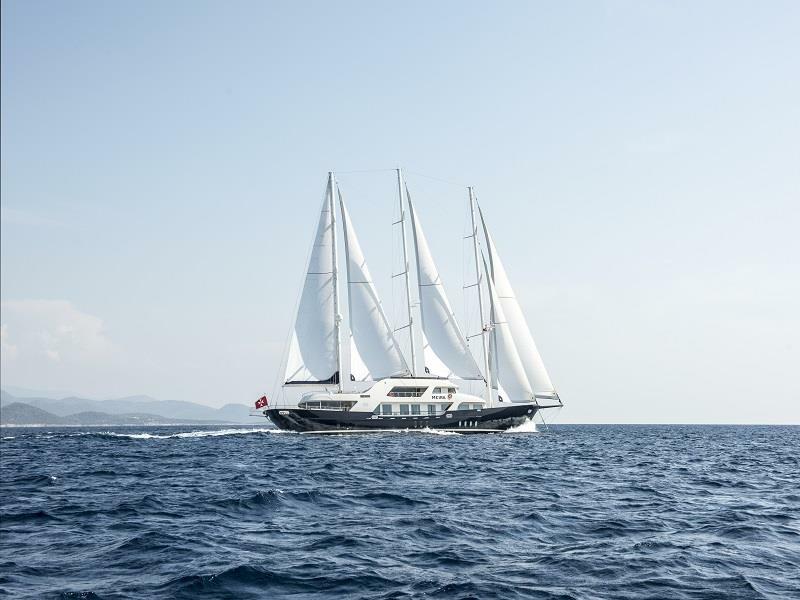 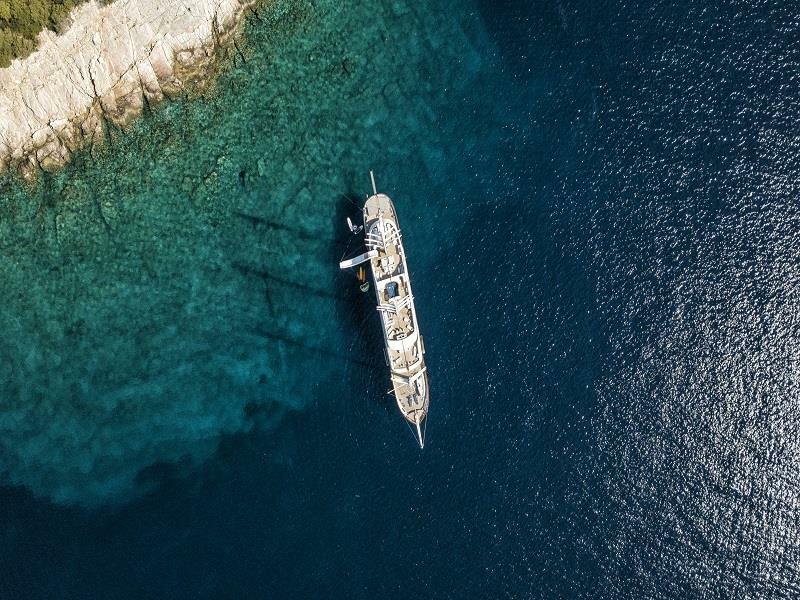 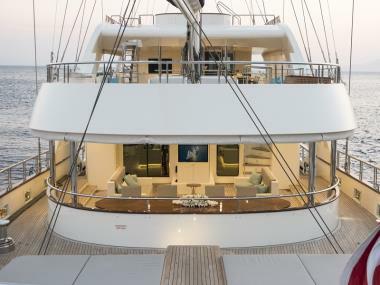 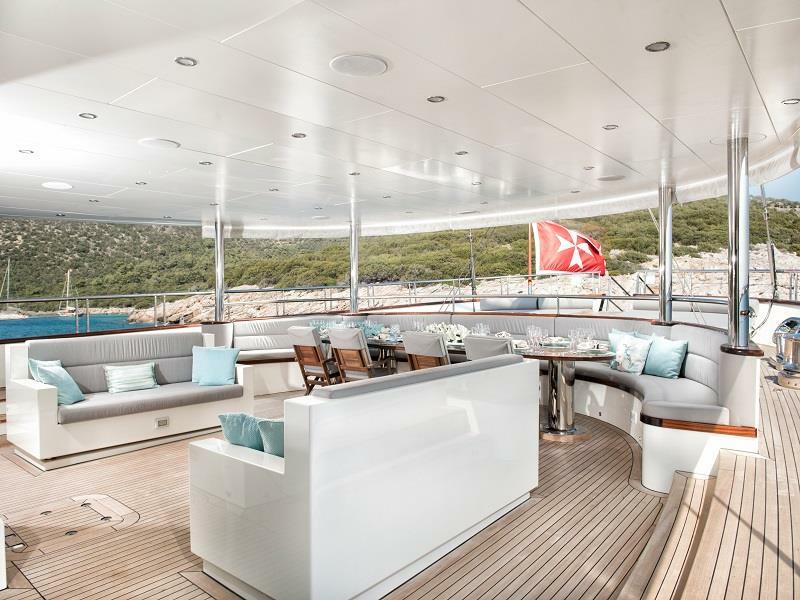 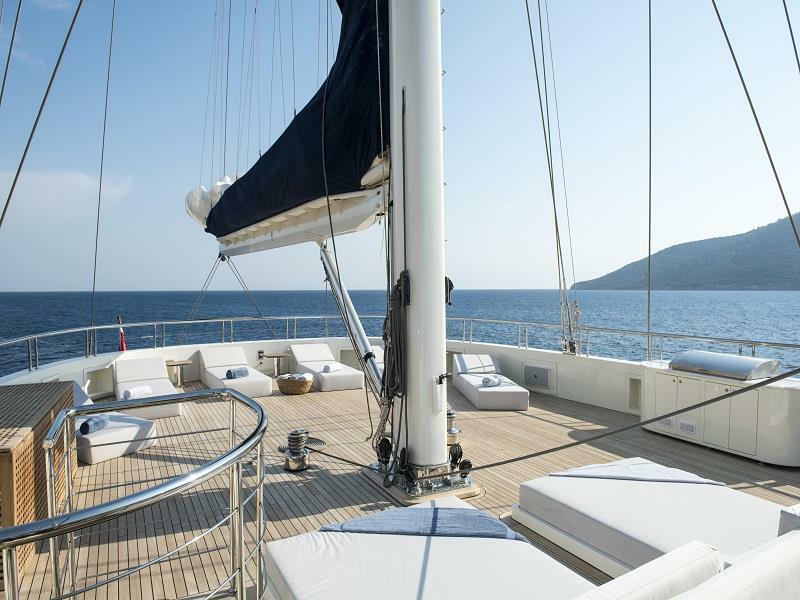 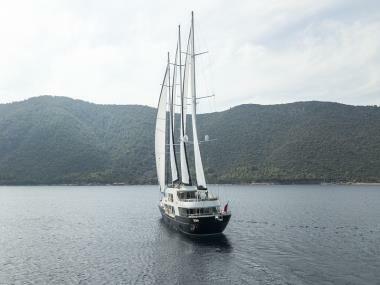 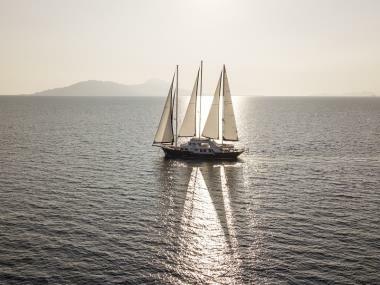 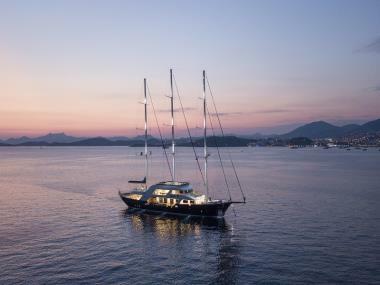 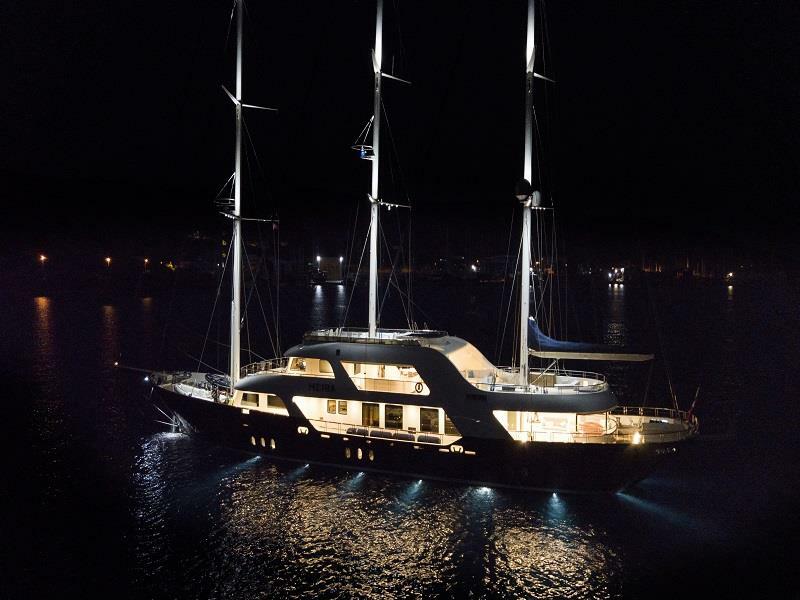 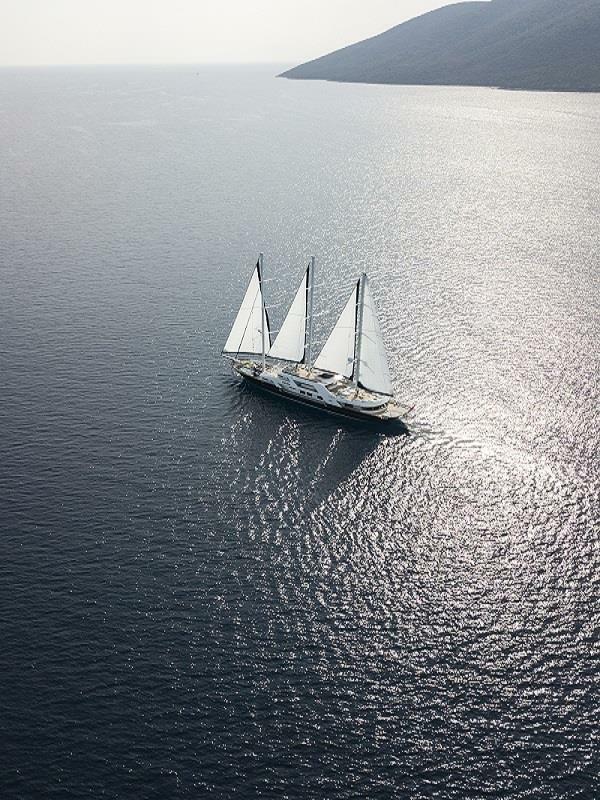 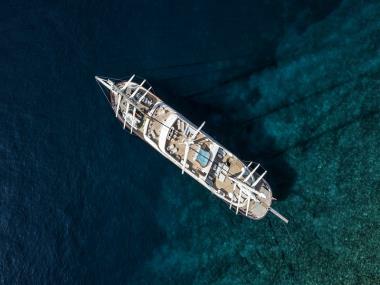 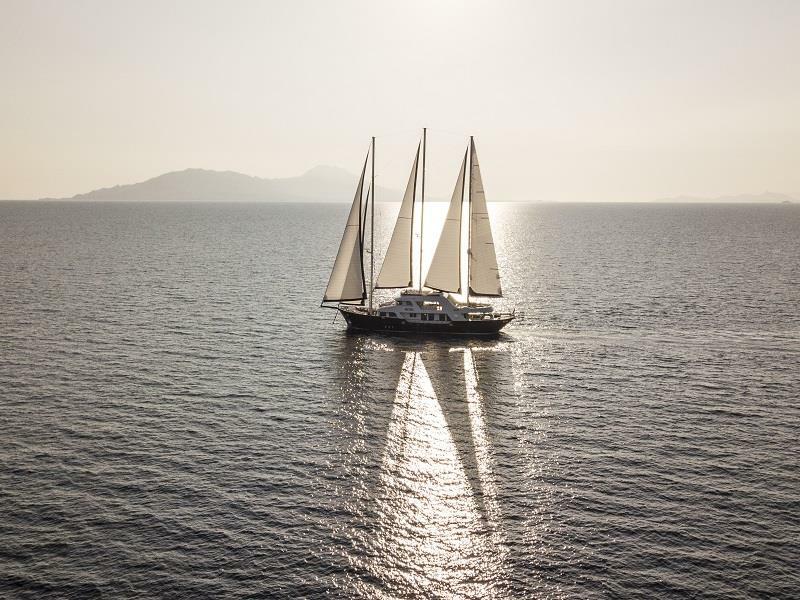 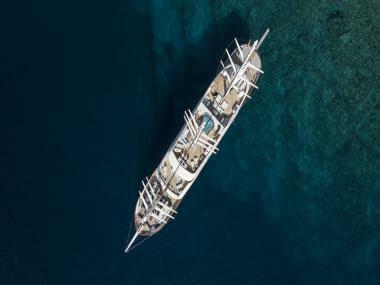 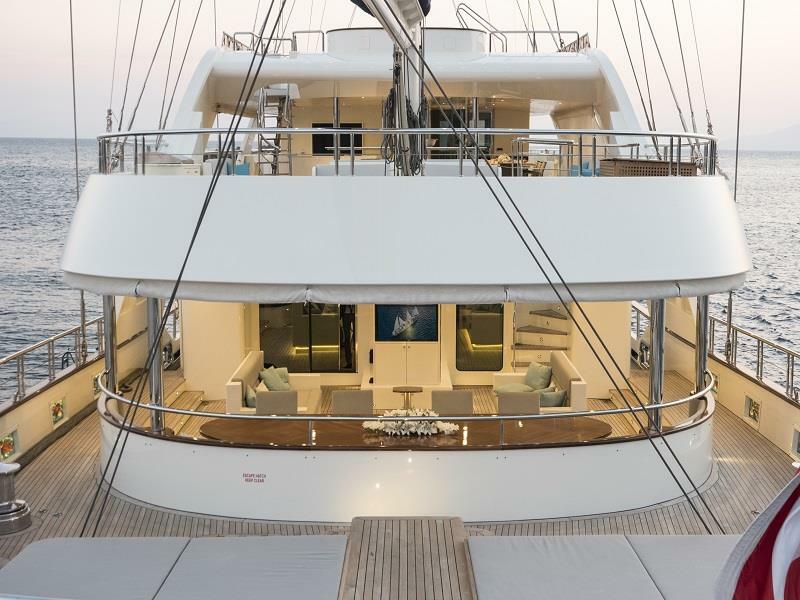 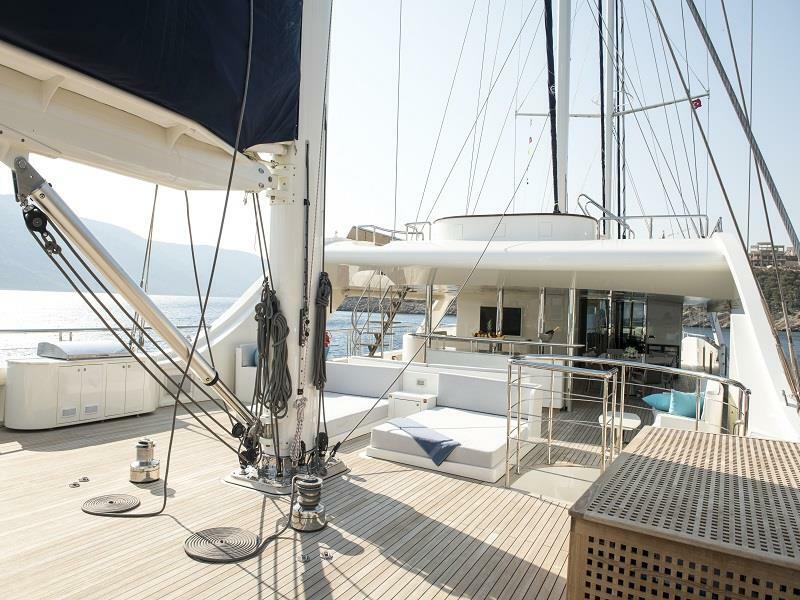 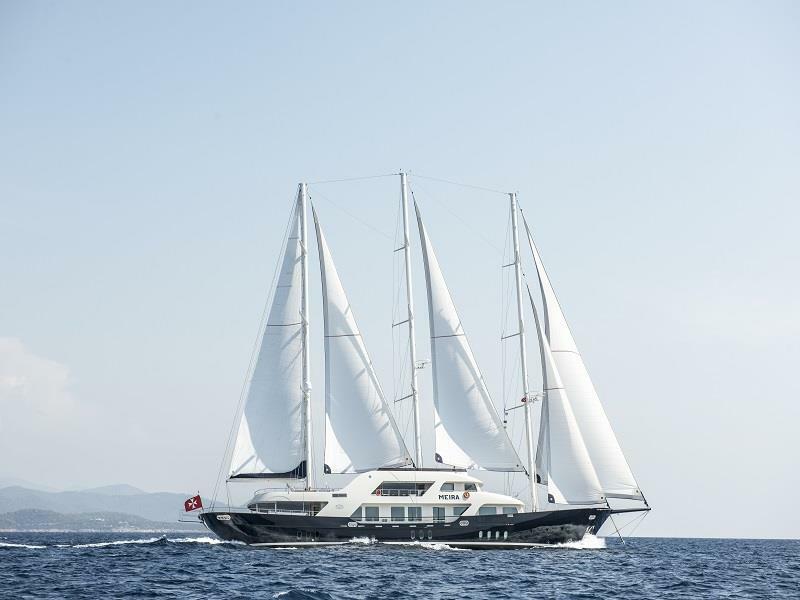 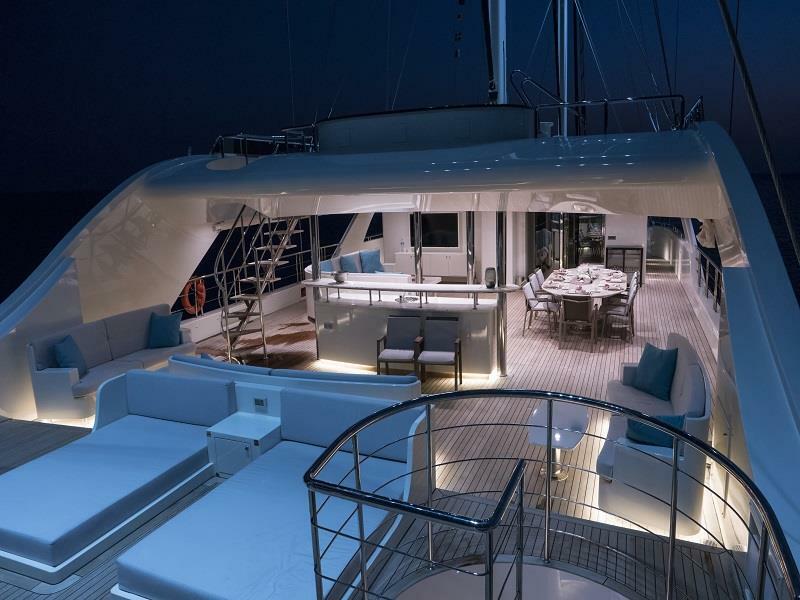 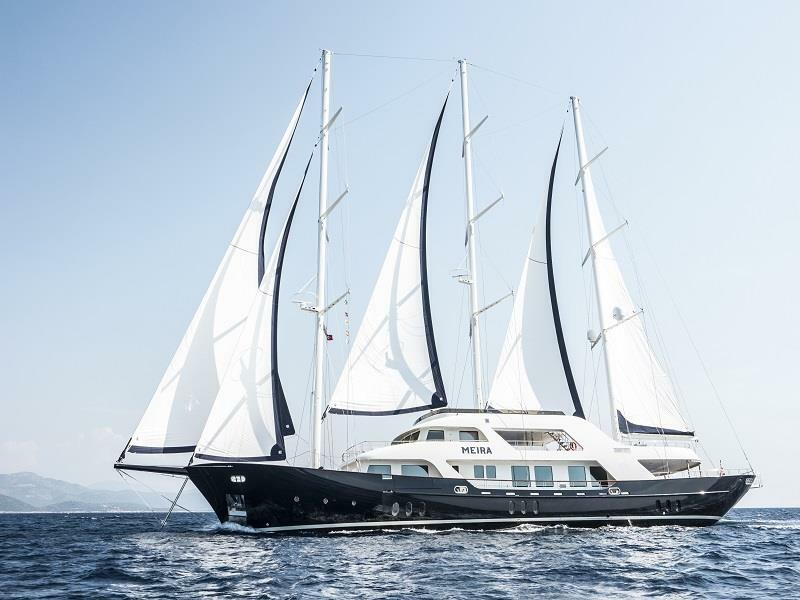 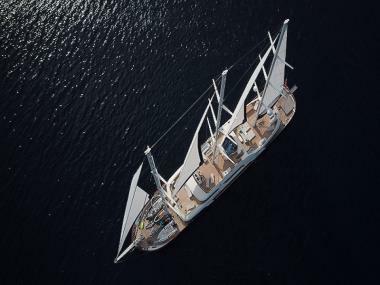 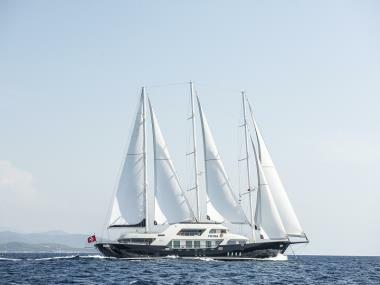 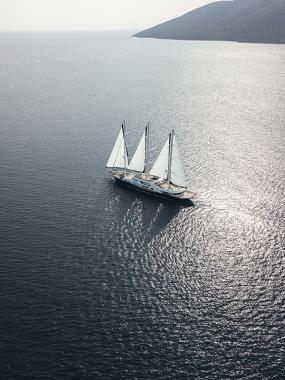 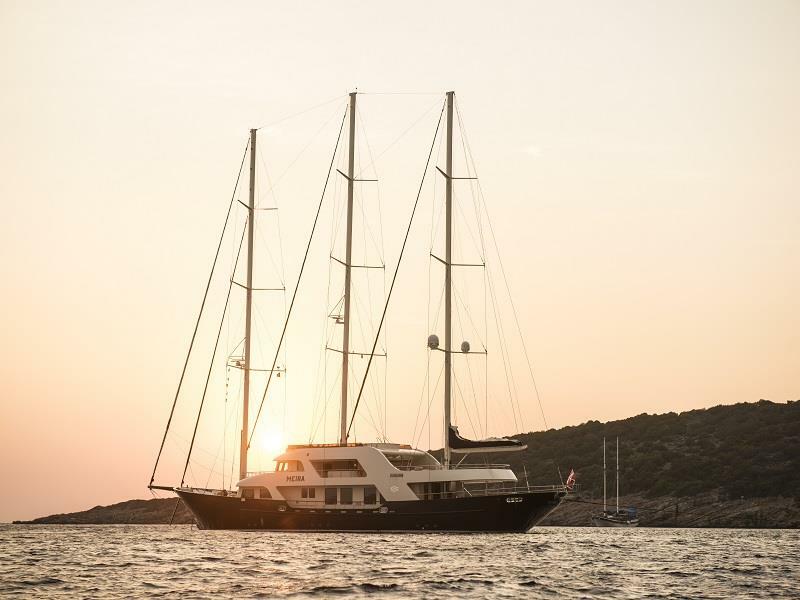 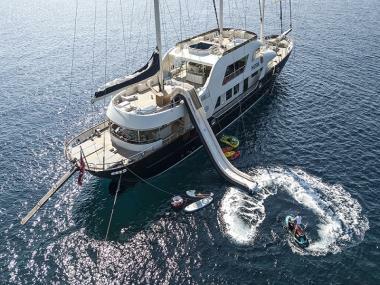 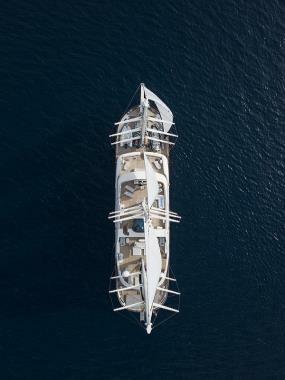 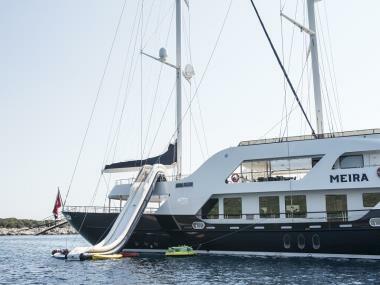 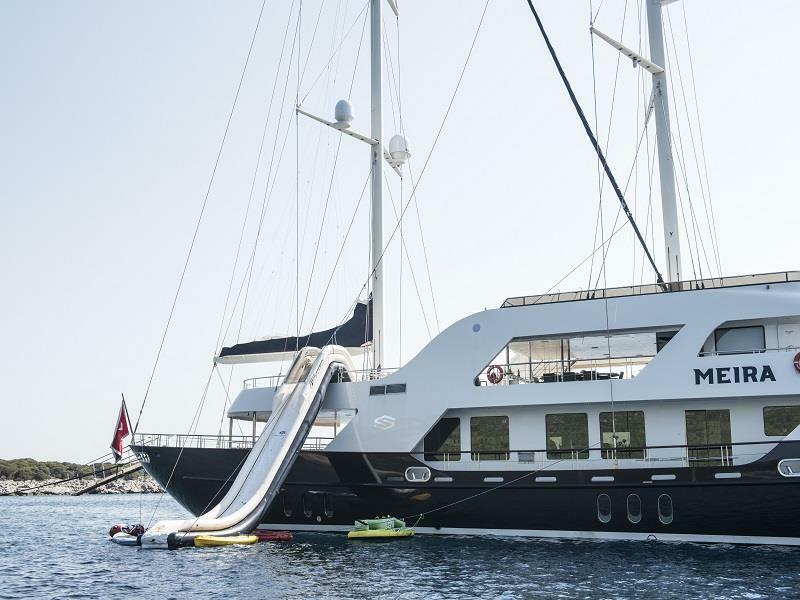 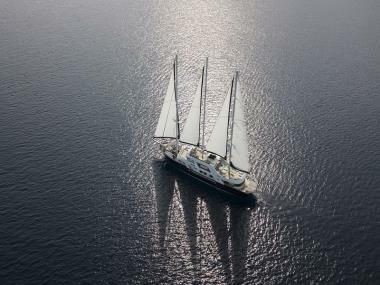 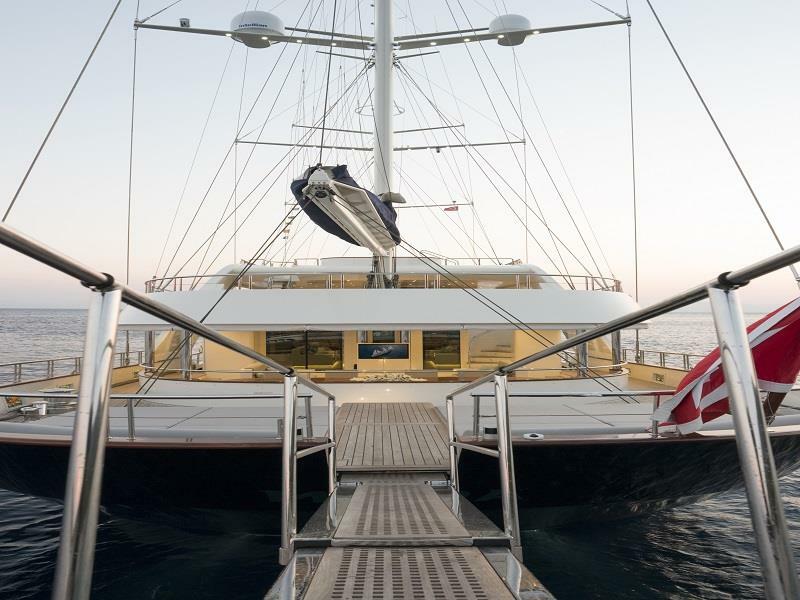 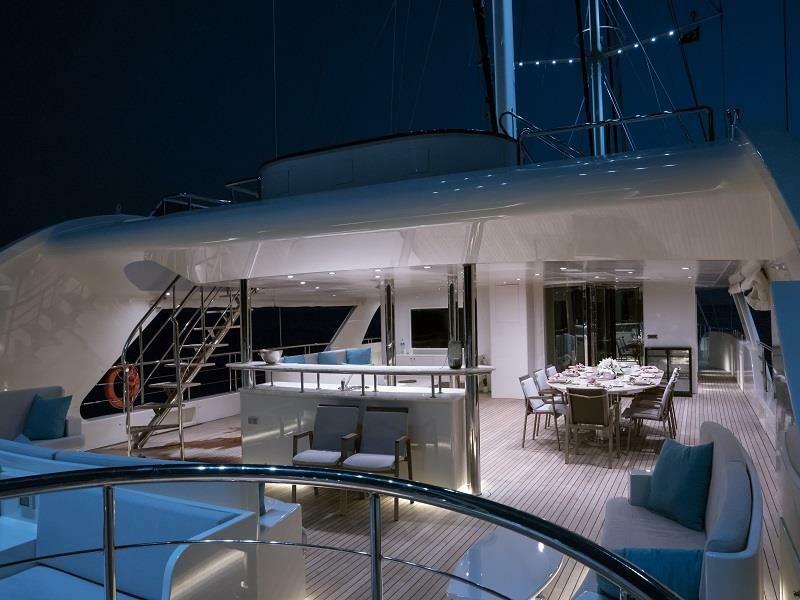 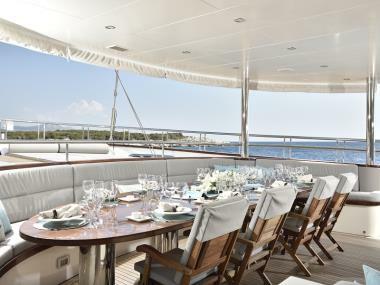 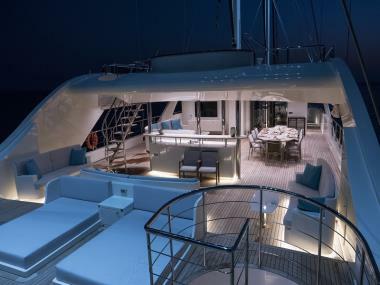 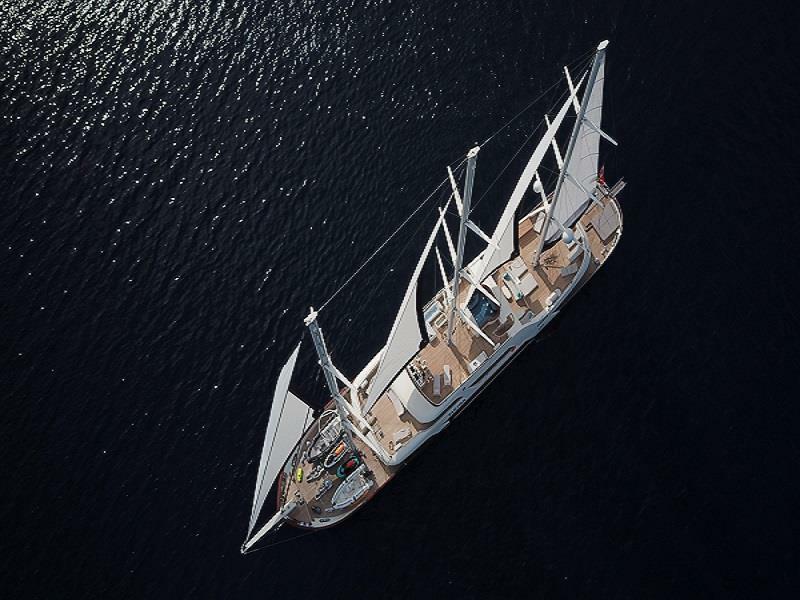 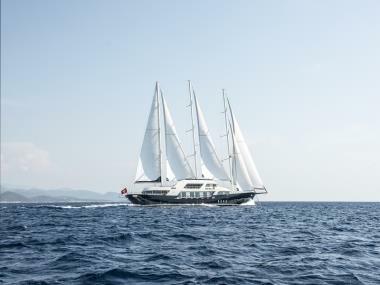 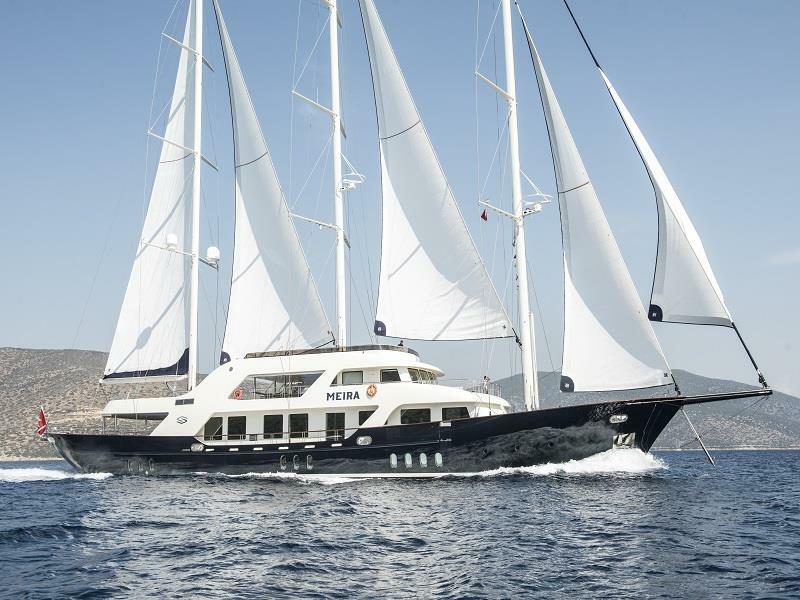 This 55 meter luxury sailing yacht “M/S MEIRA” is an exceptional neo-classic design in which to cruise the world with remarkable space and wide selection of amenities. 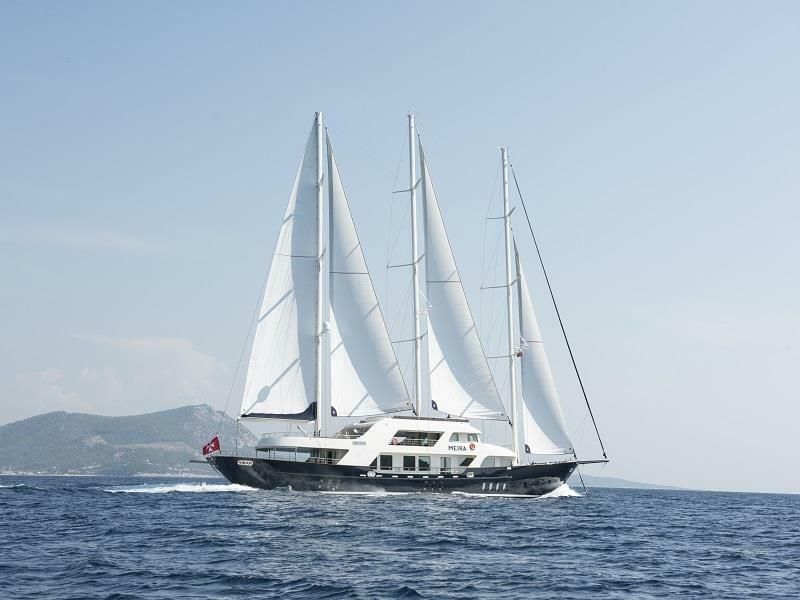 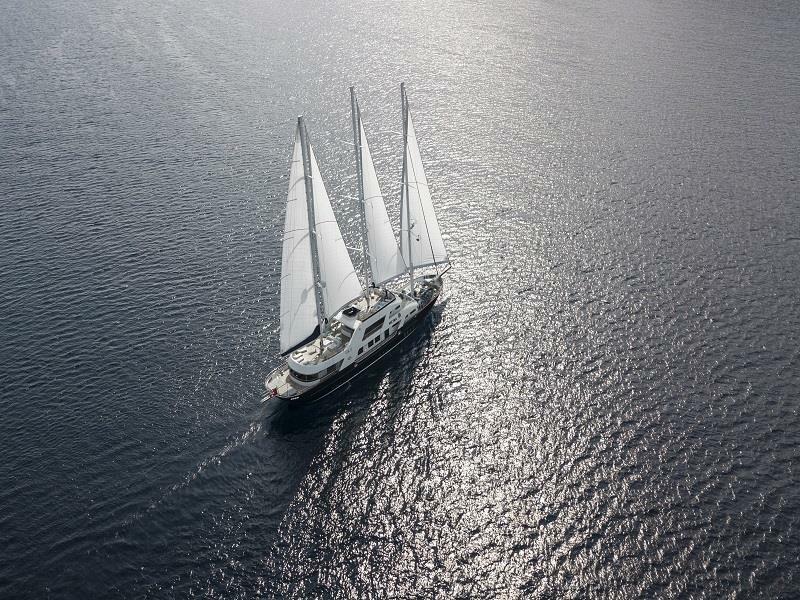 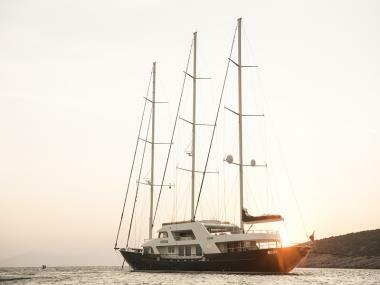 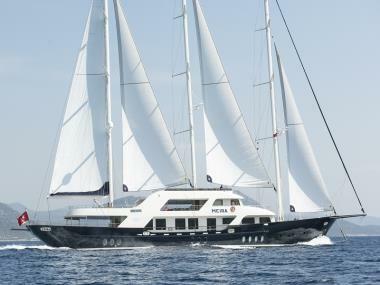 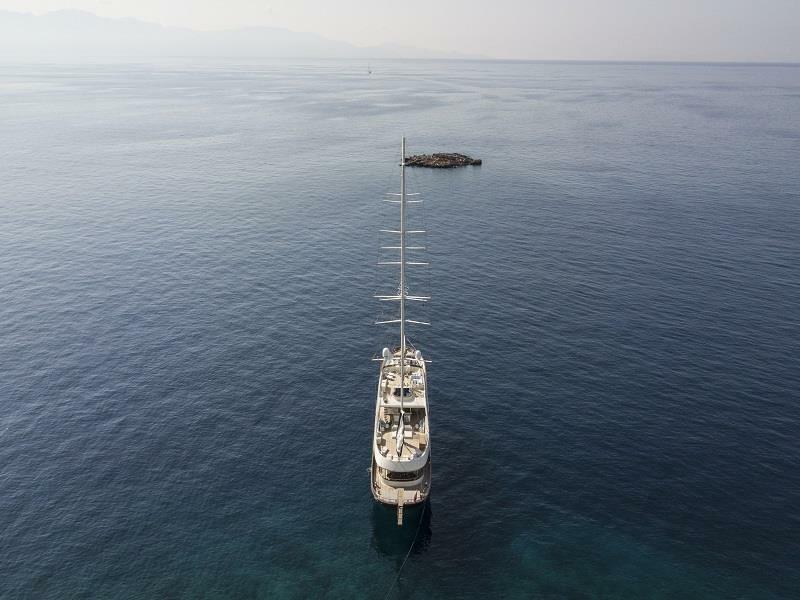 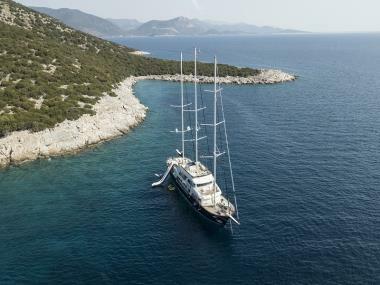 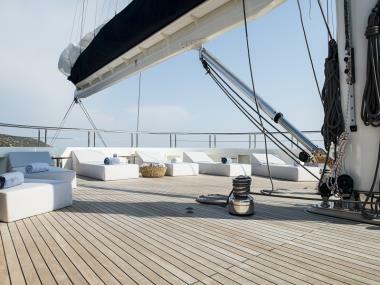 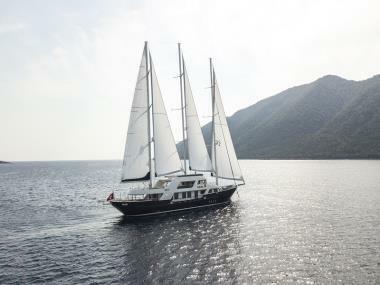 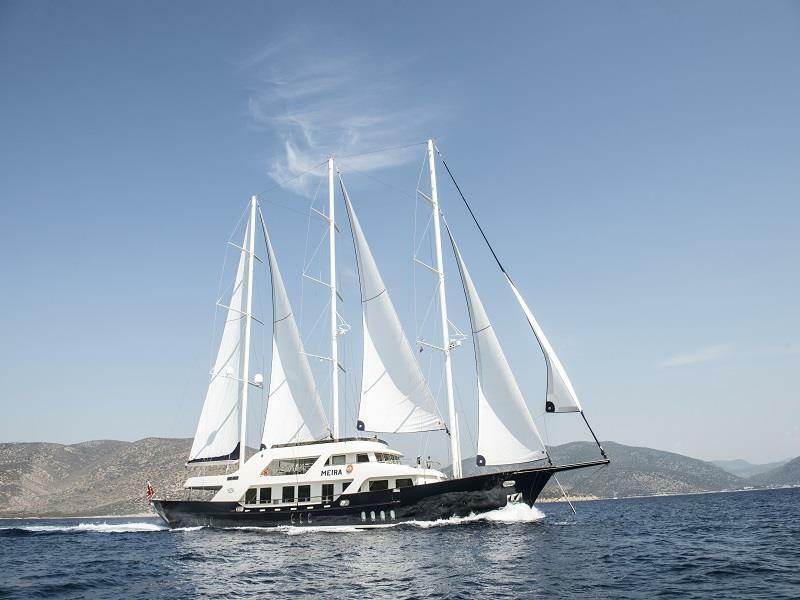 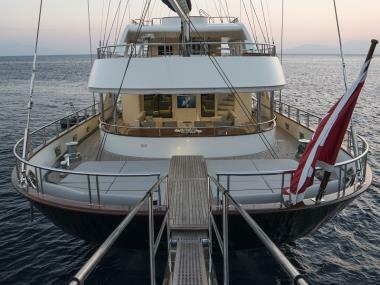 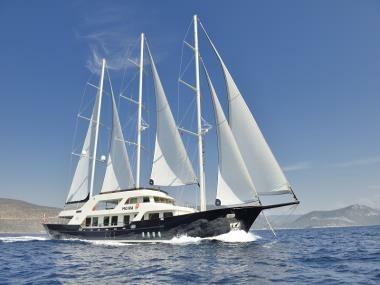 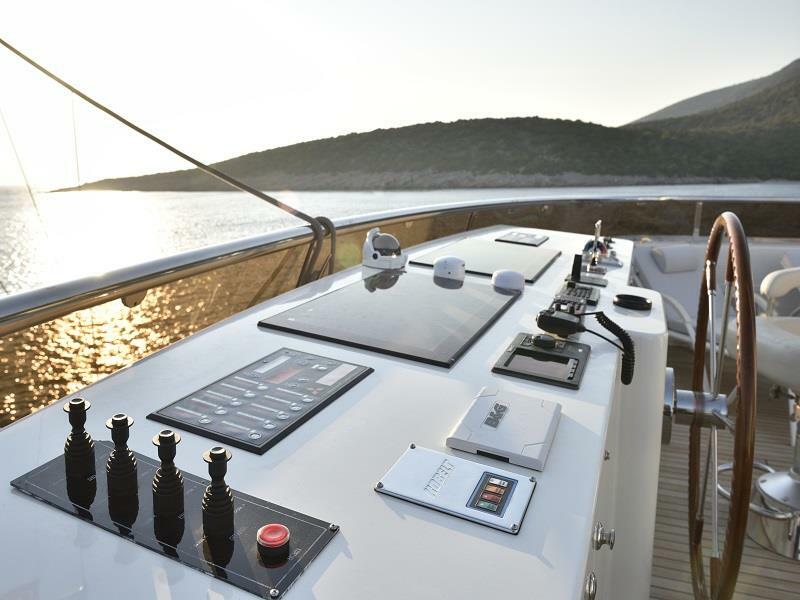 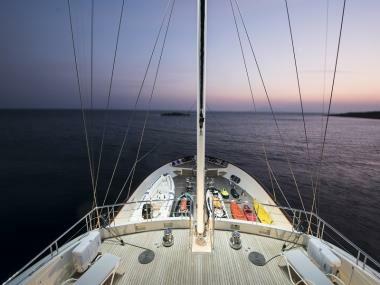 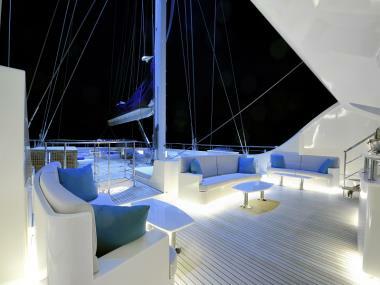 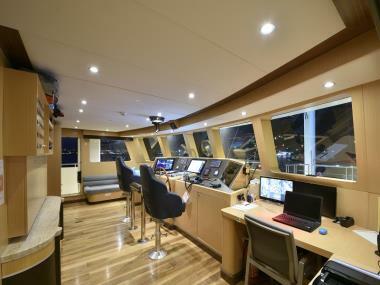 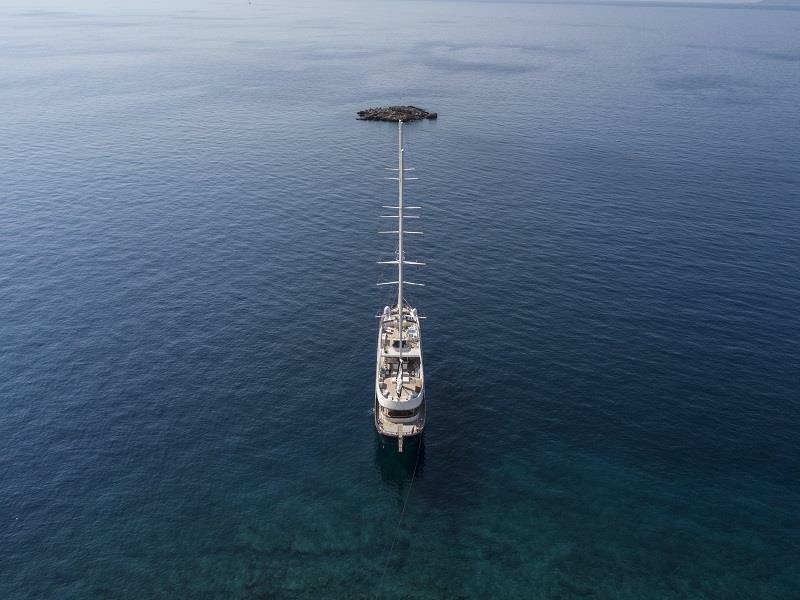 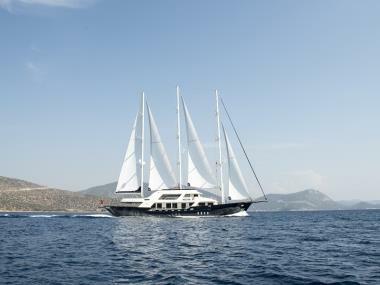 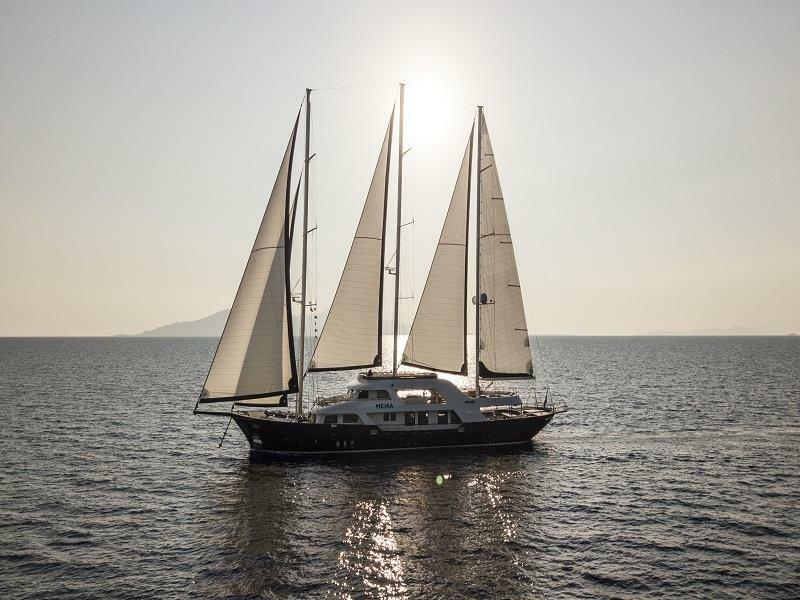 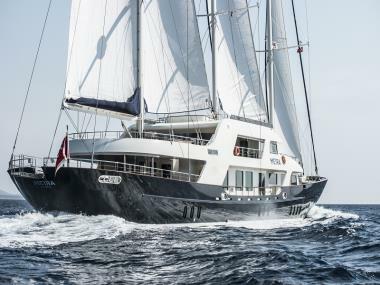 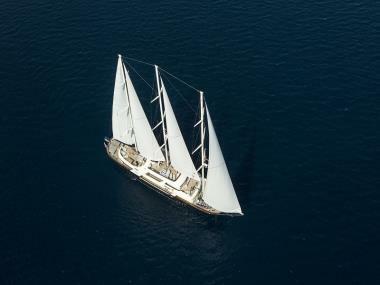 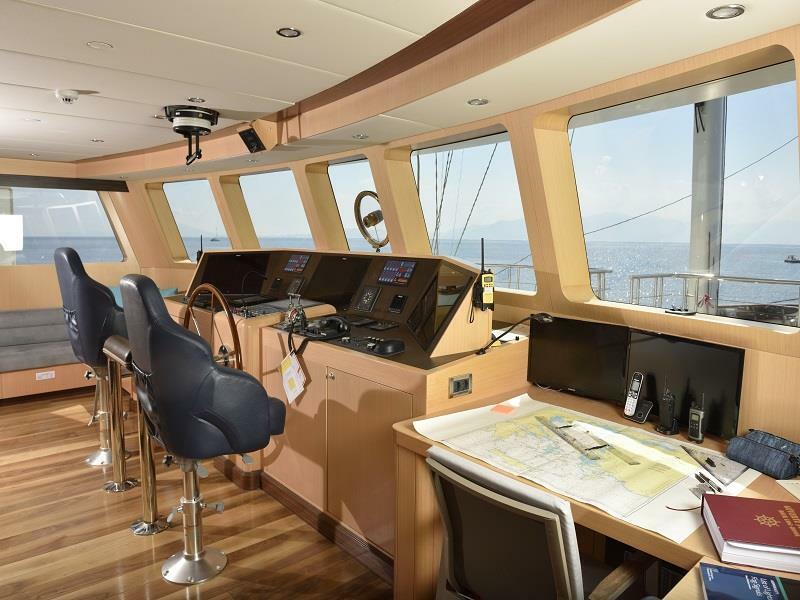 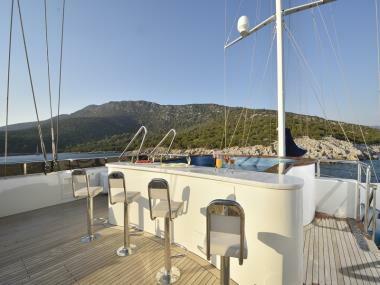 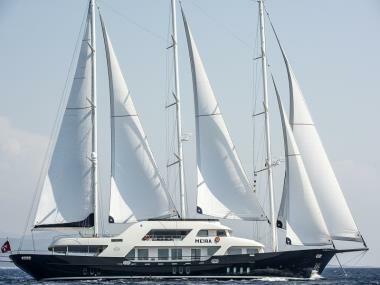 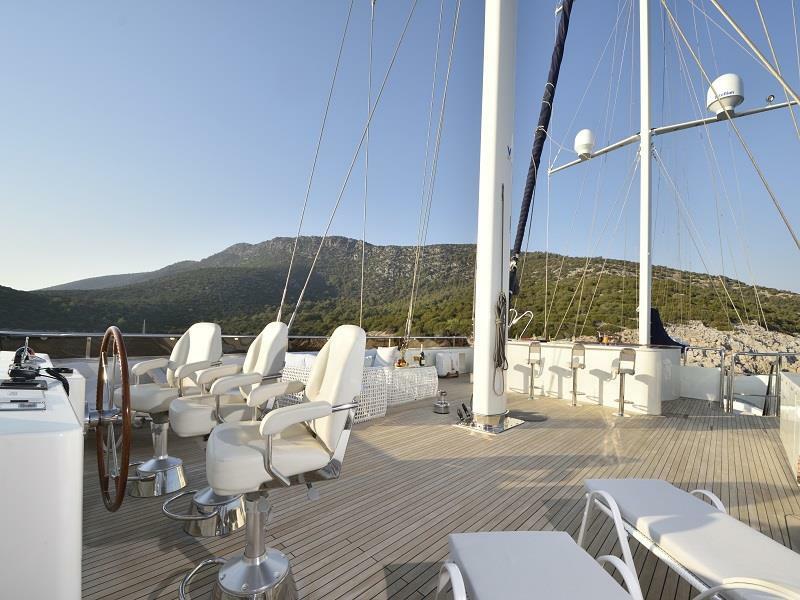 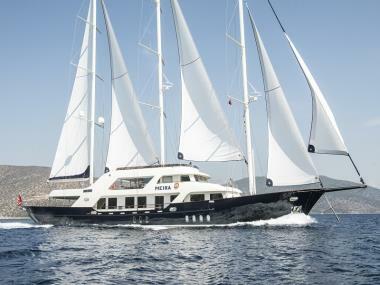 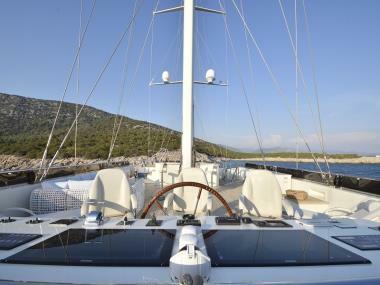 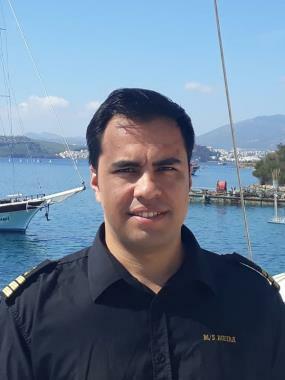 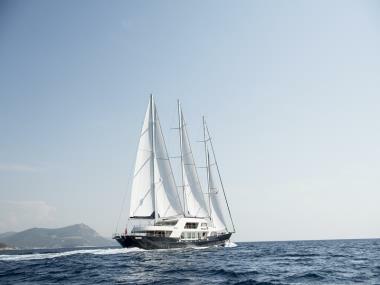 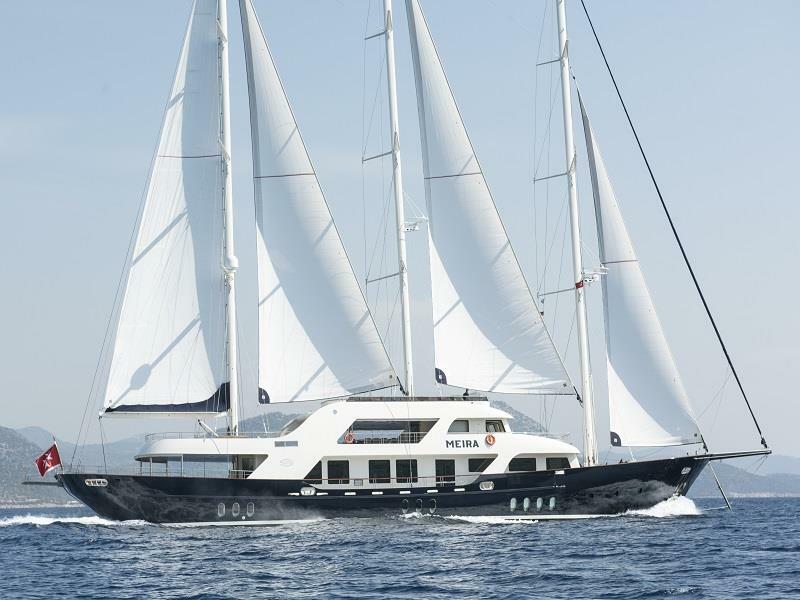 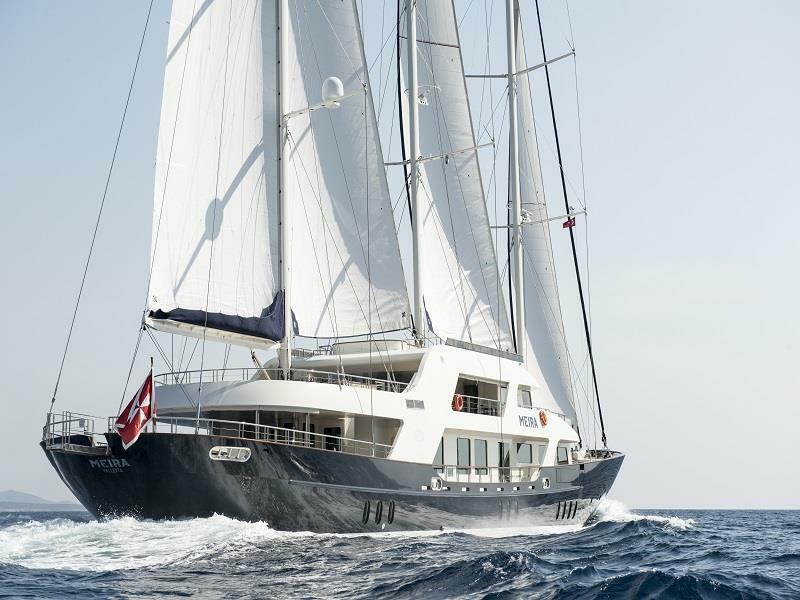 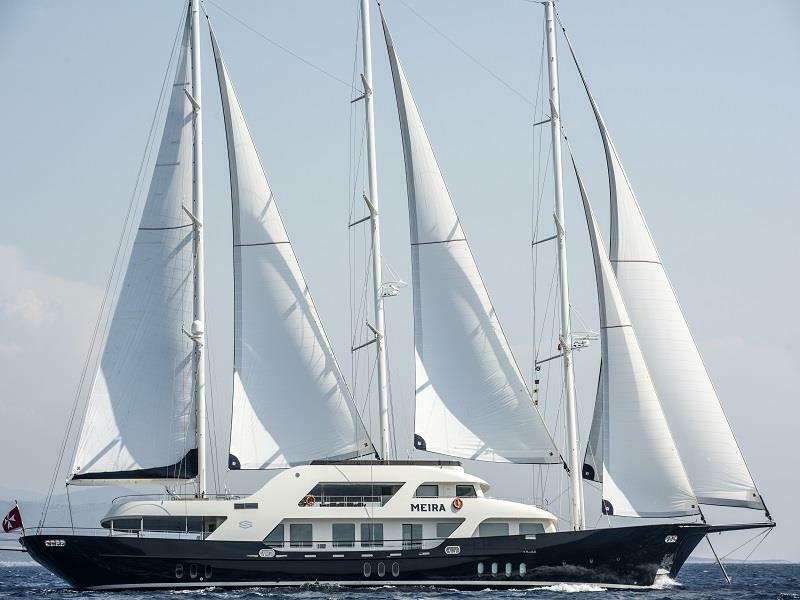 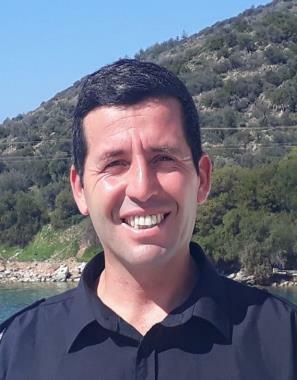 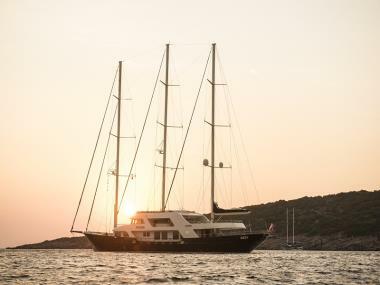 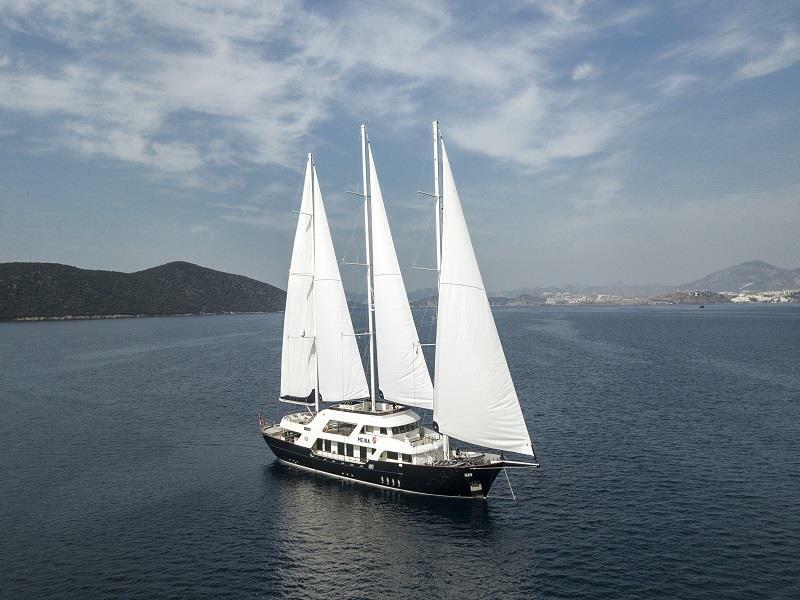 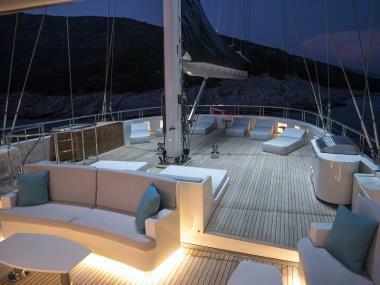 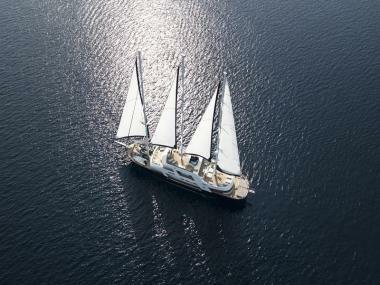 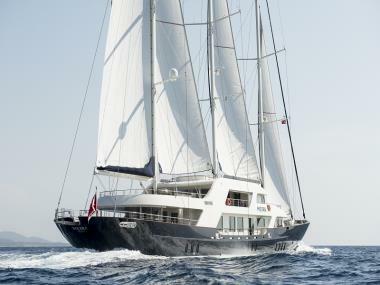 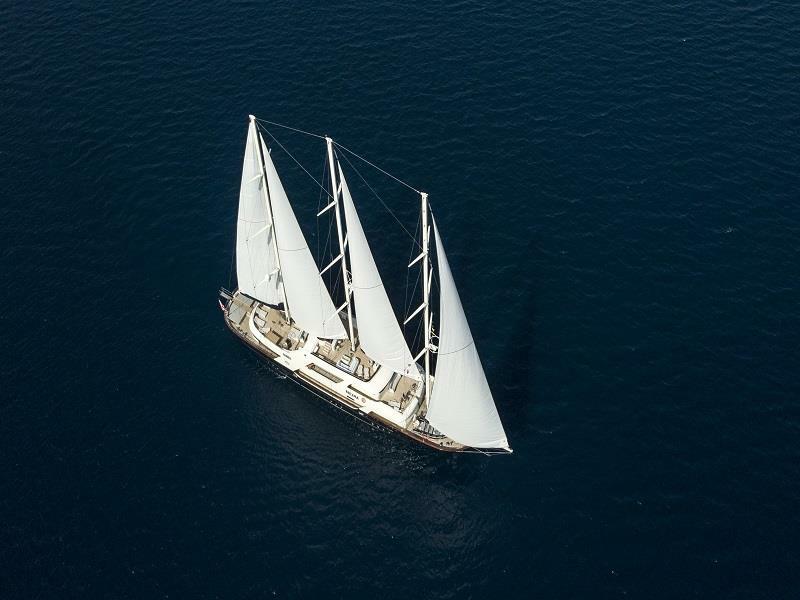 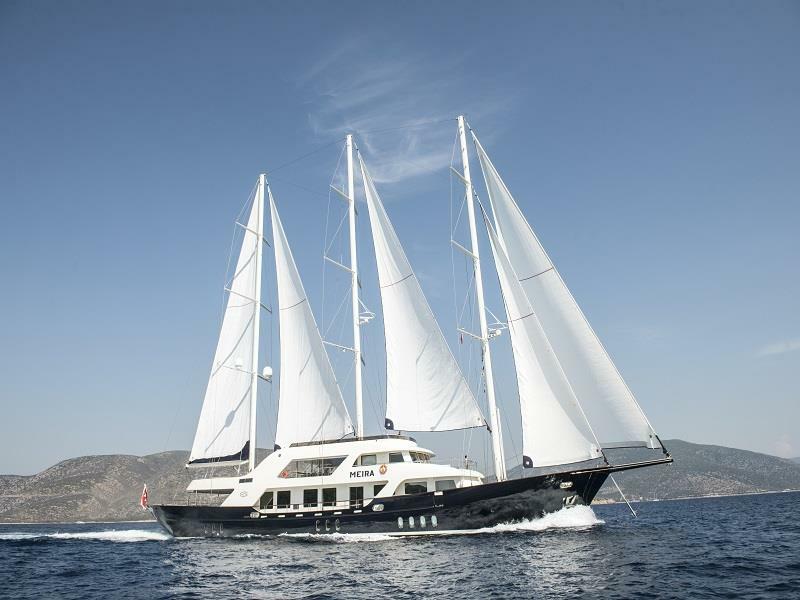 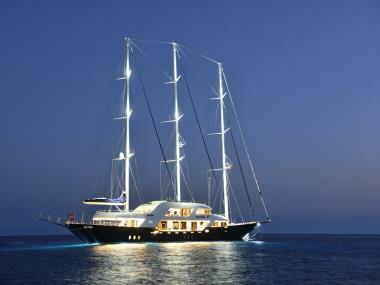 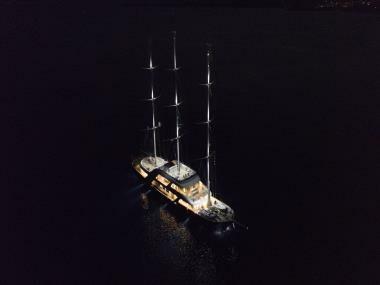 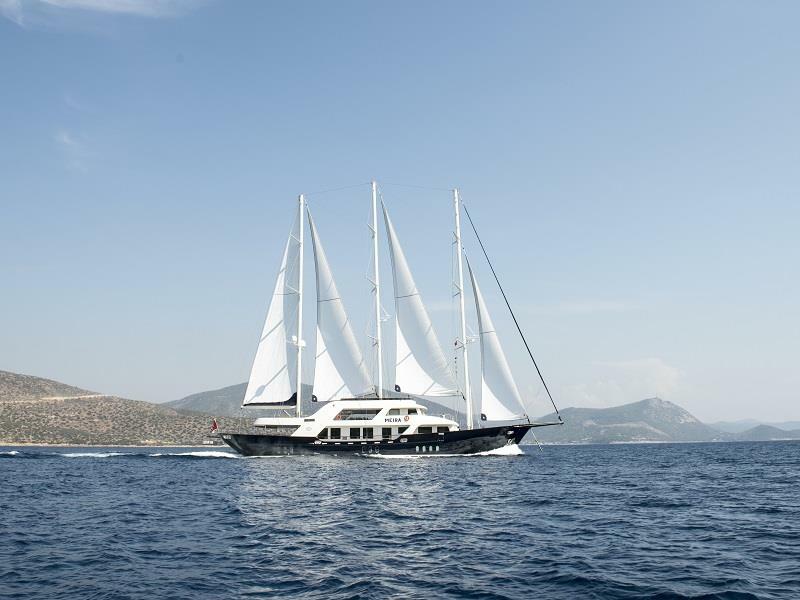 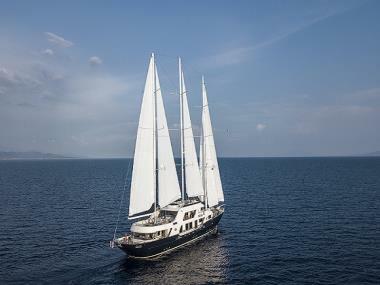 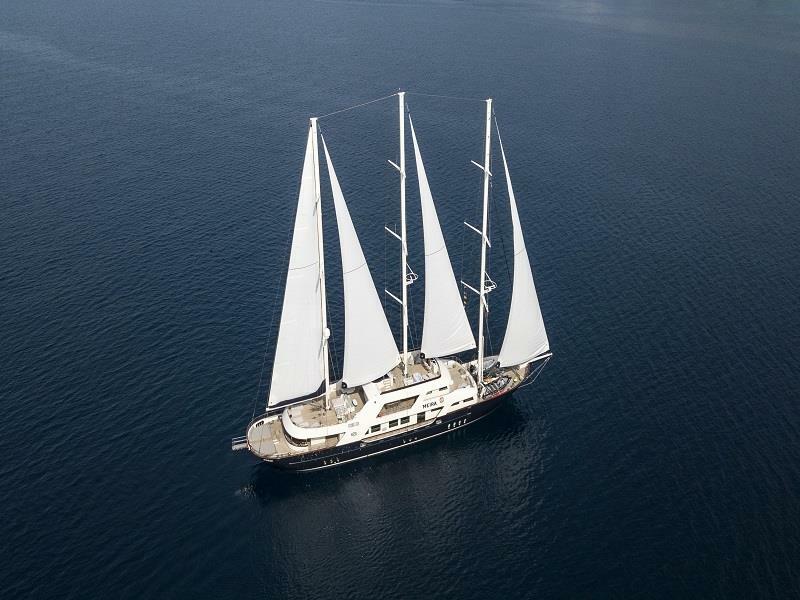 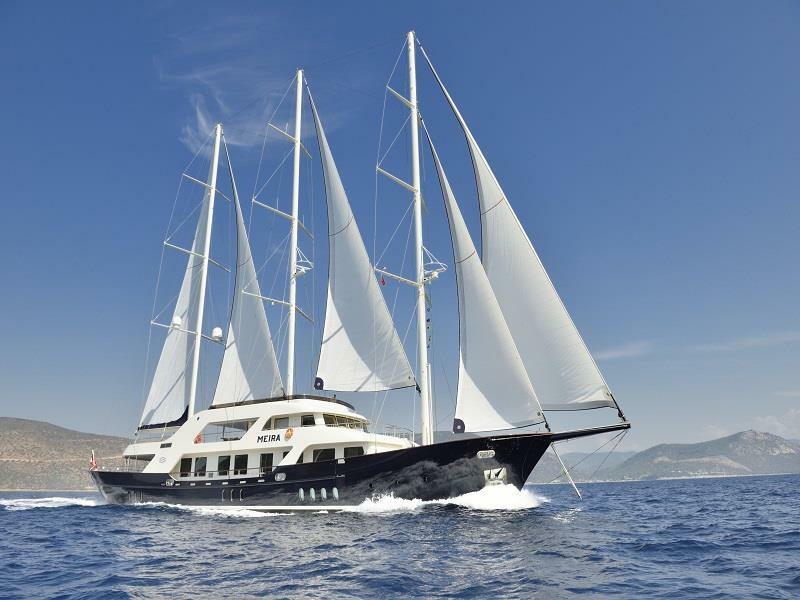 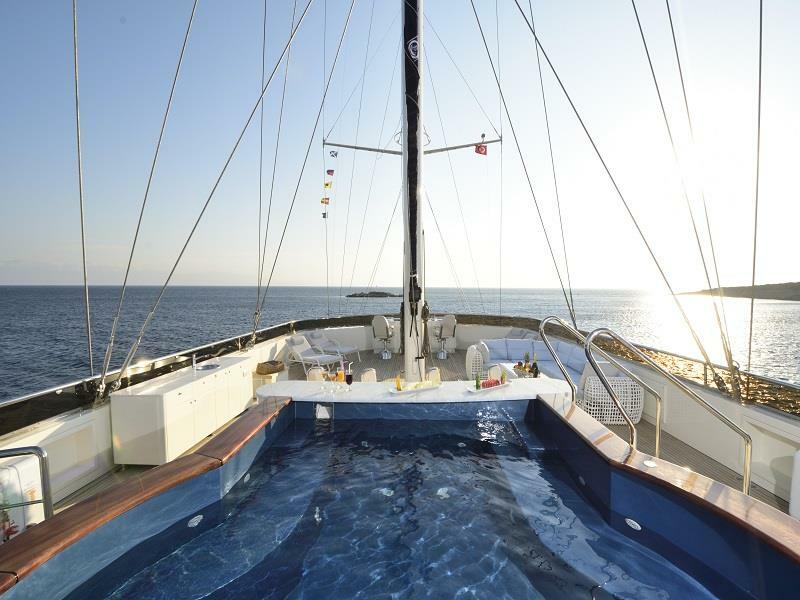 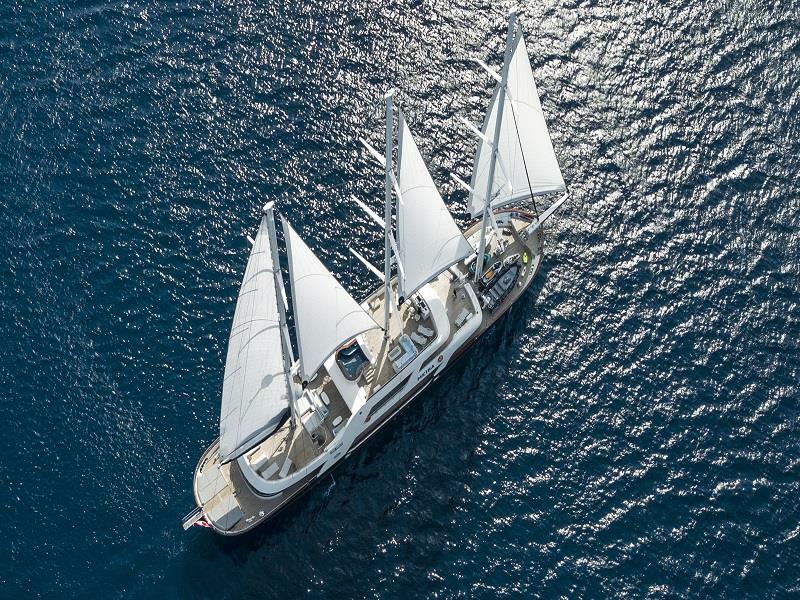 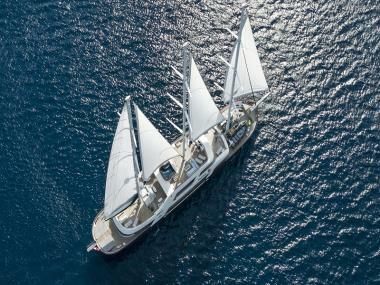 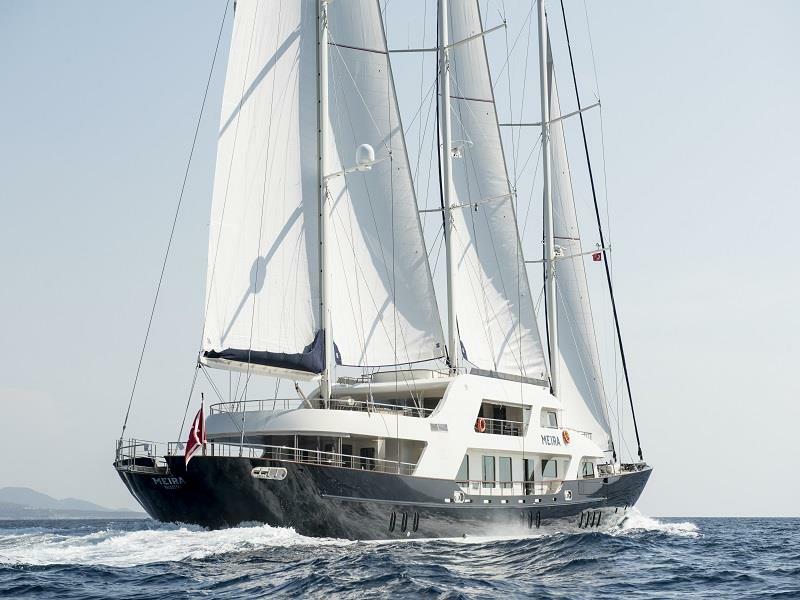 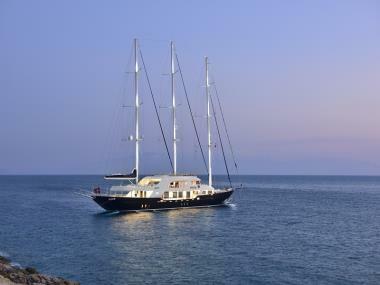 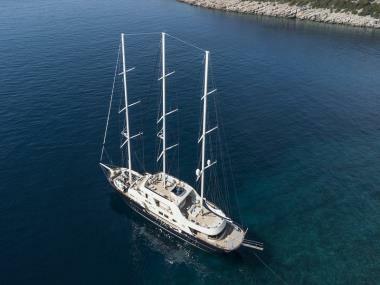 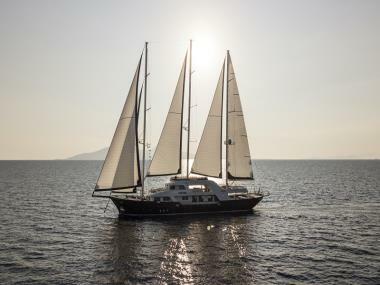 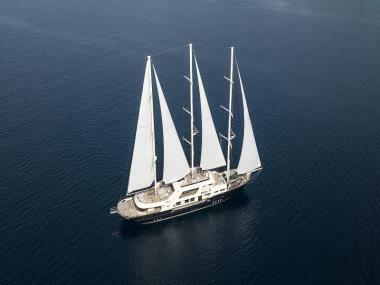 M/S Meira has 3 masts and fully she is equipped in high class for Sailing. 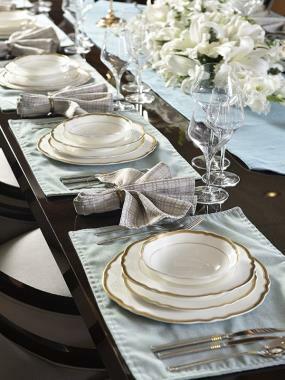 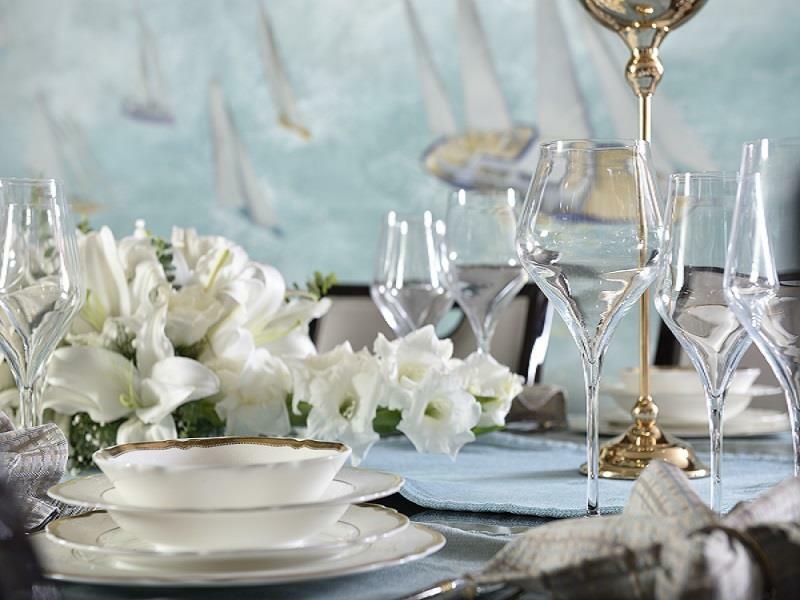 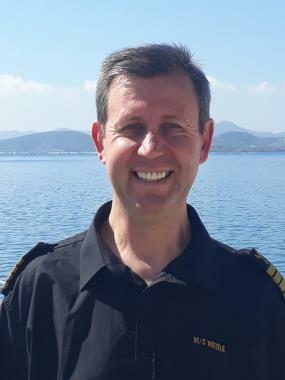 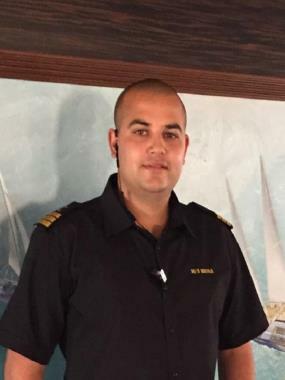 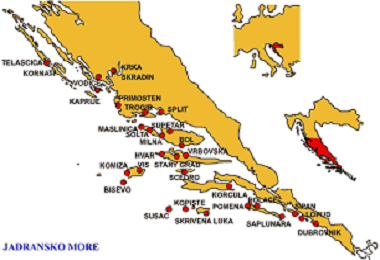 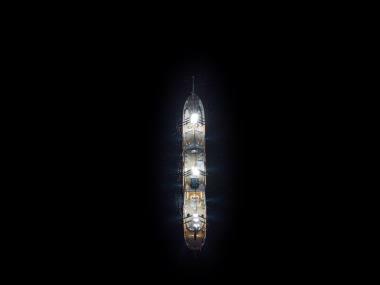 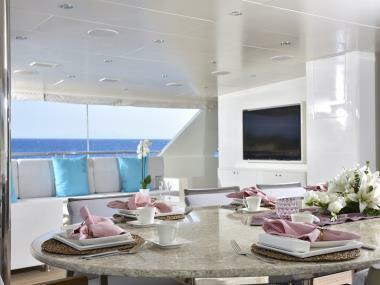 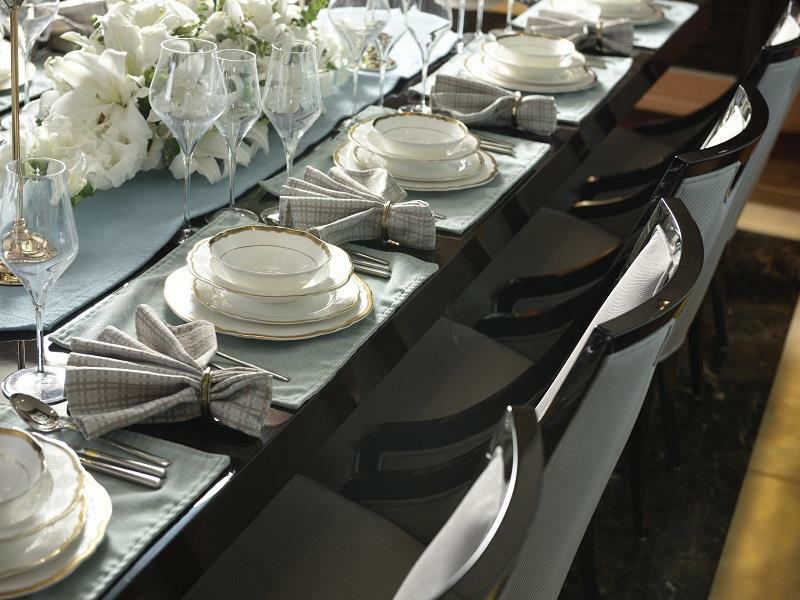 ACCOMMODATION 12 guests in 6 staterooms and 11 crew members. 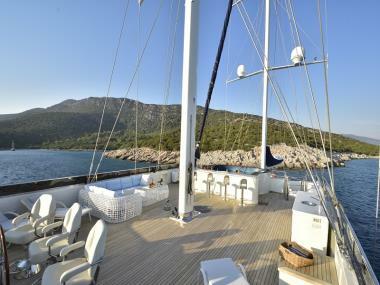 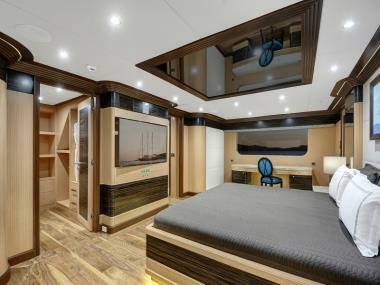 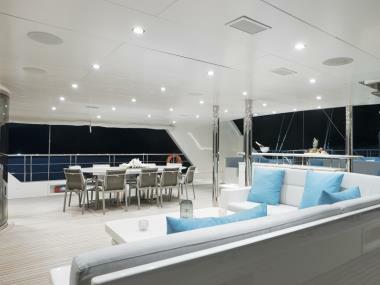 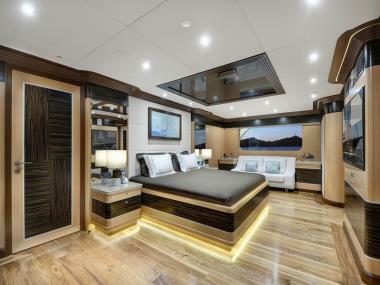 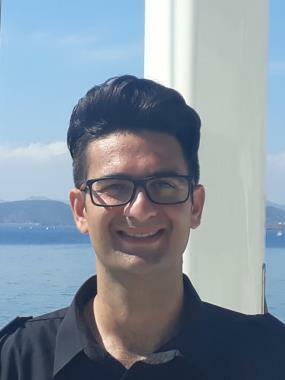 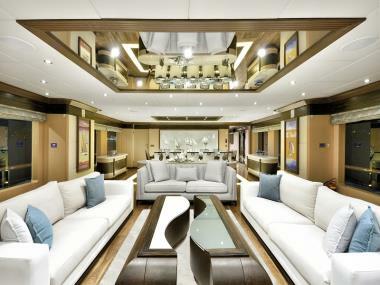 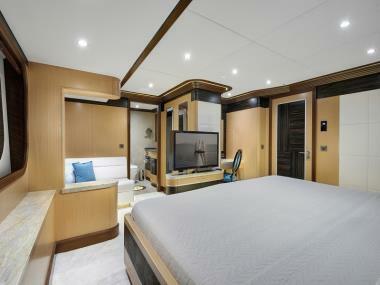 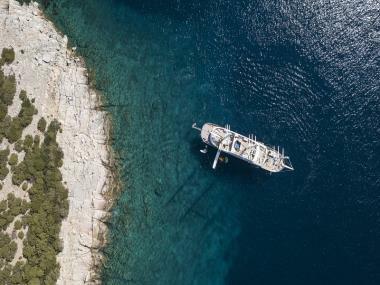 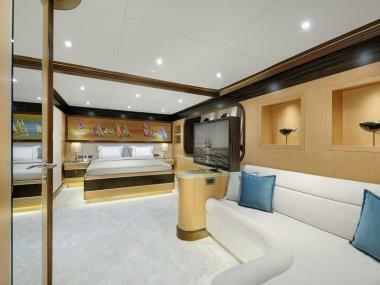 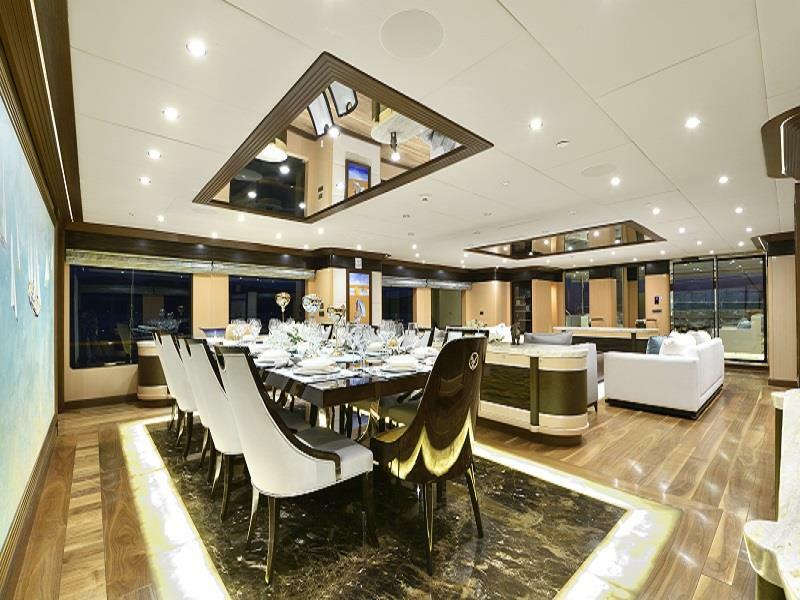 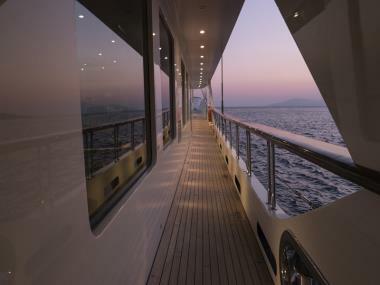 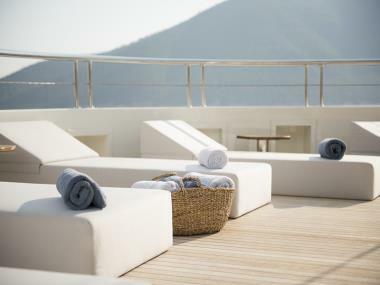 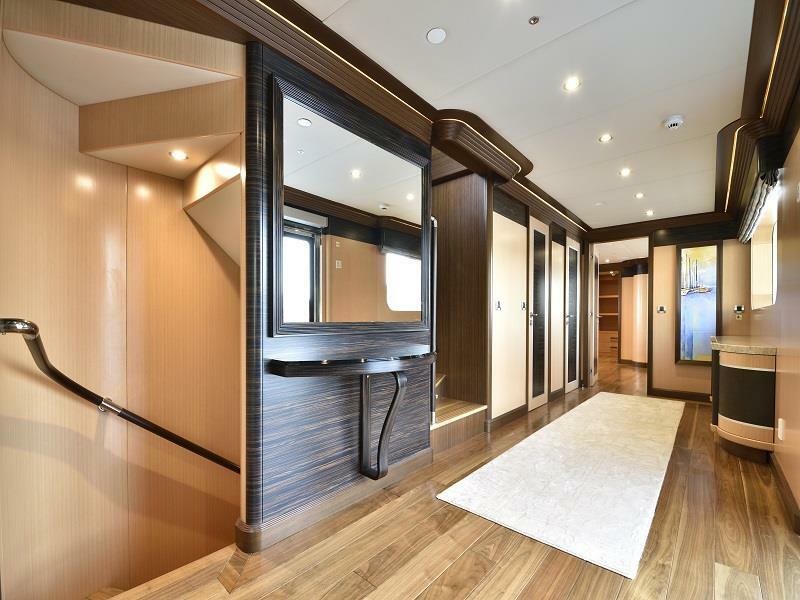 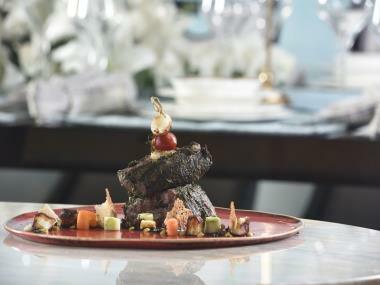 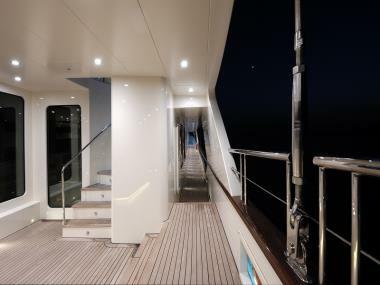 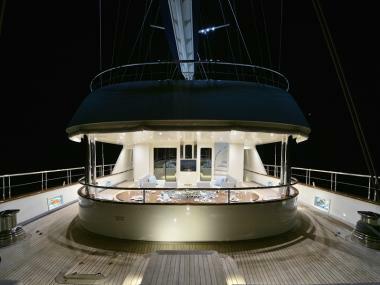 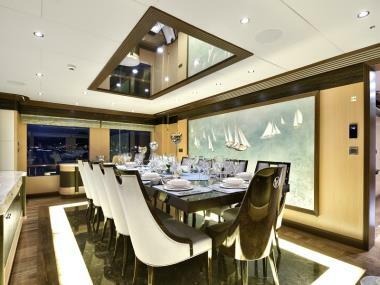 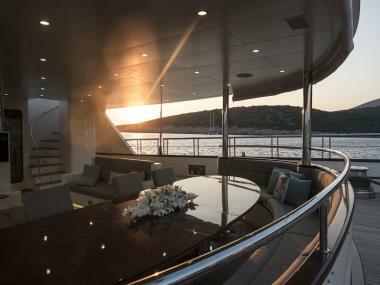 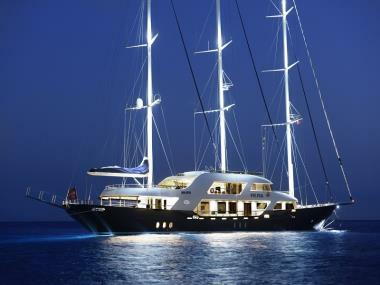 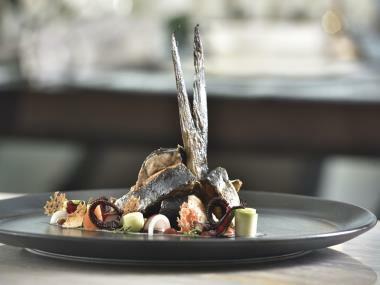 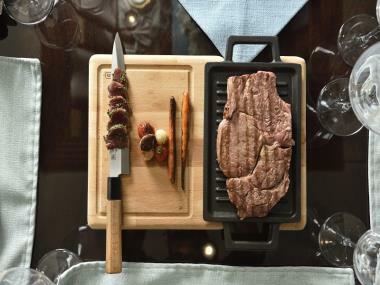 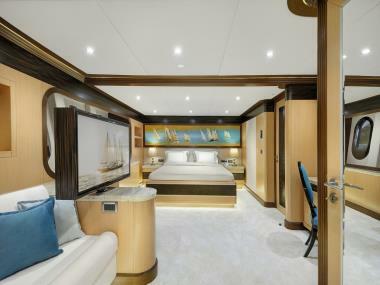 She affords accomodation up to twelve guests in six luxurious cabins, one large saloon and three outdoor areas (decks). 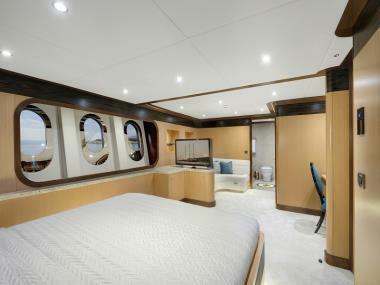 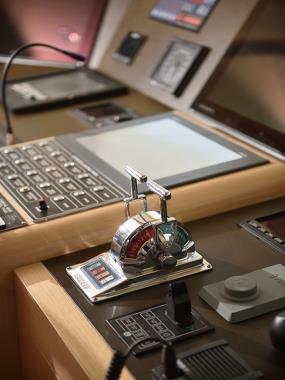 music system) and there is also minibar, work/make-up desk and sitting area in cabins. 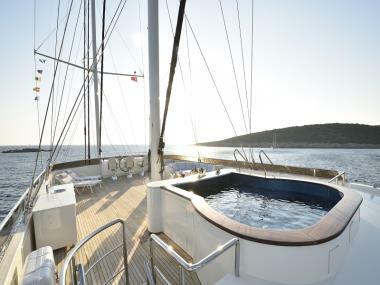 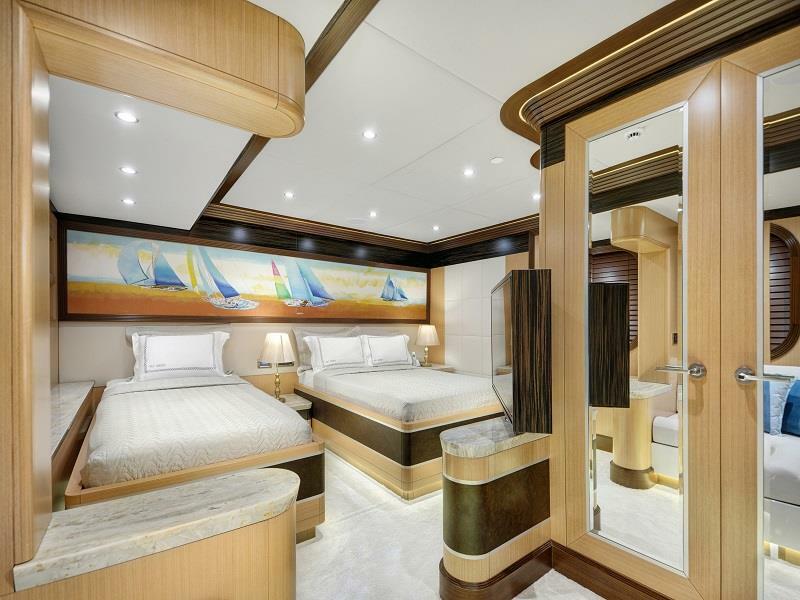 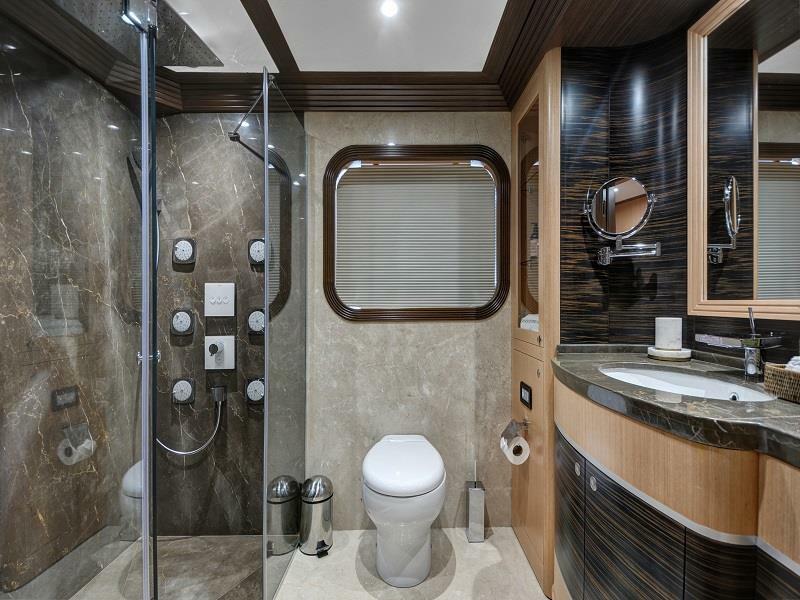 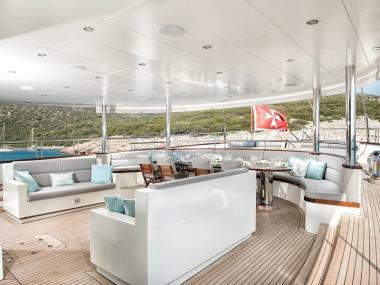 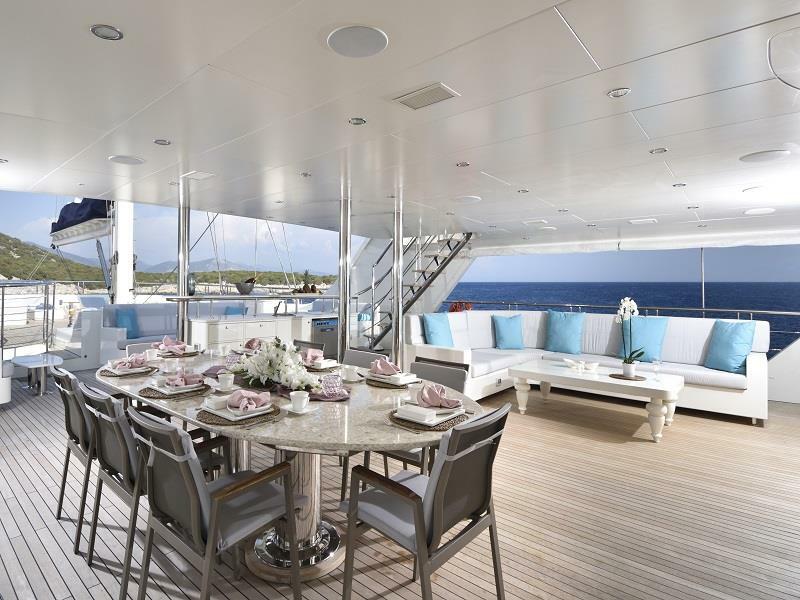 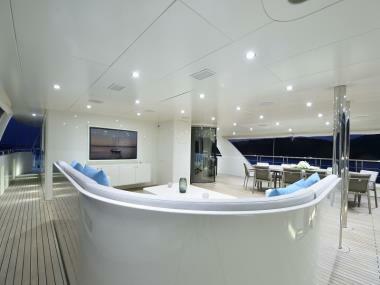 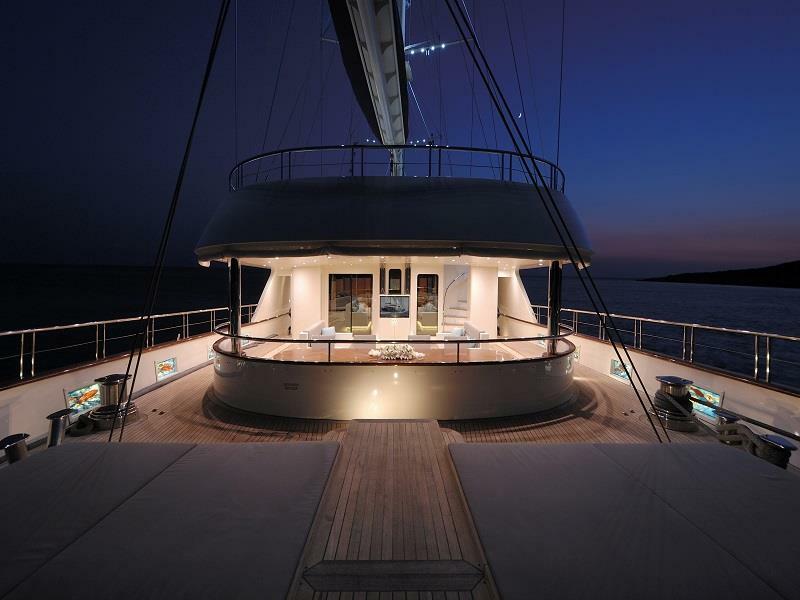 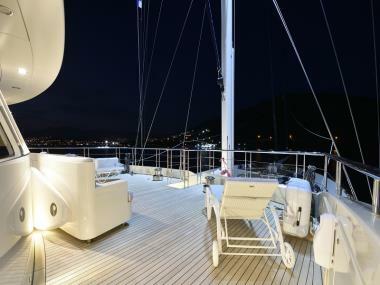 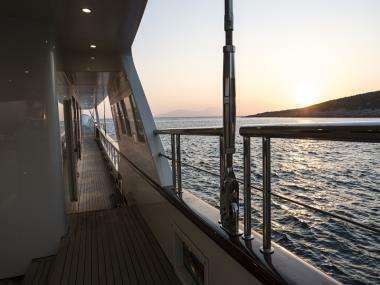 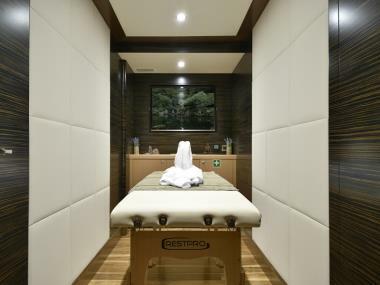 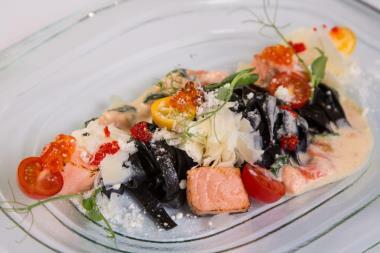 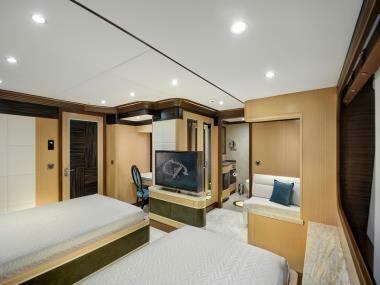 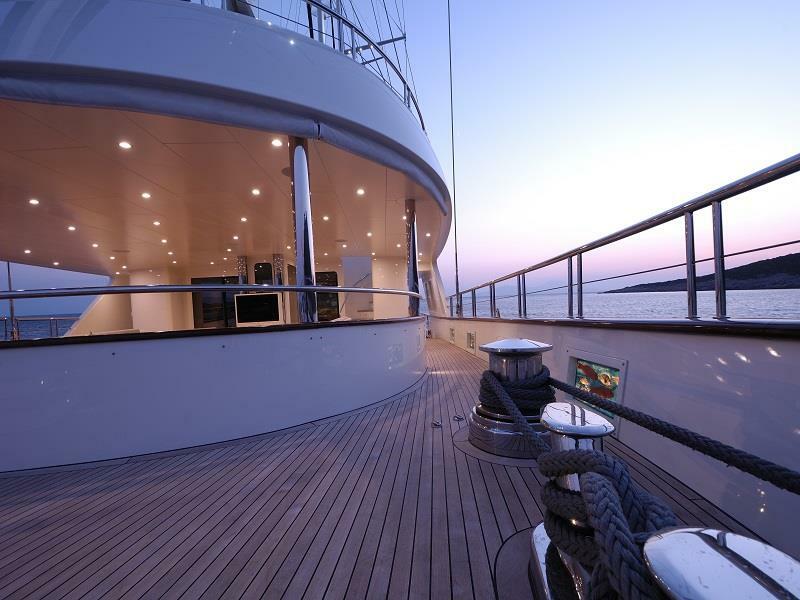 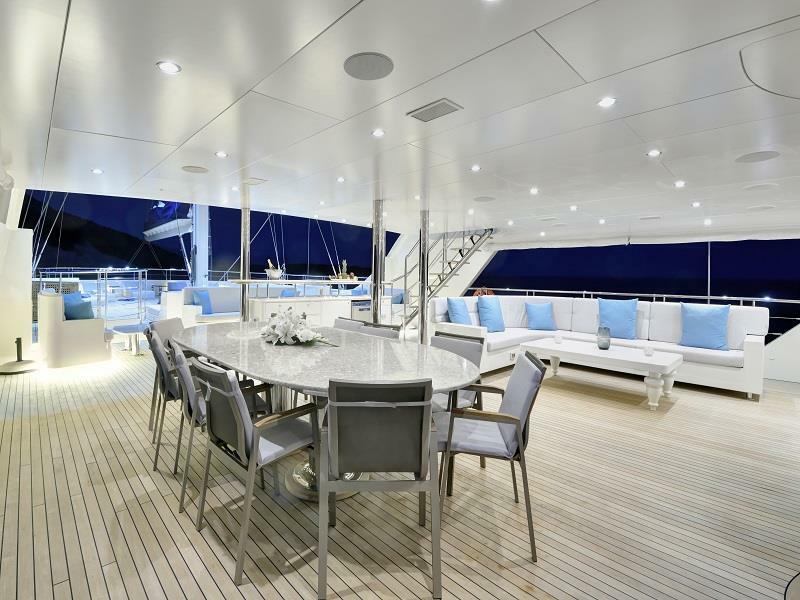 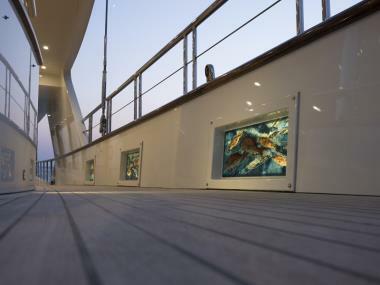 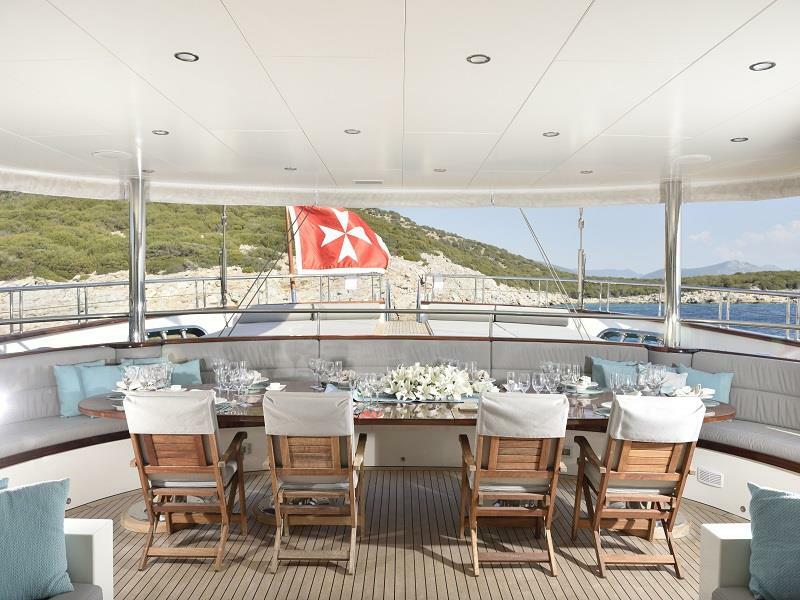 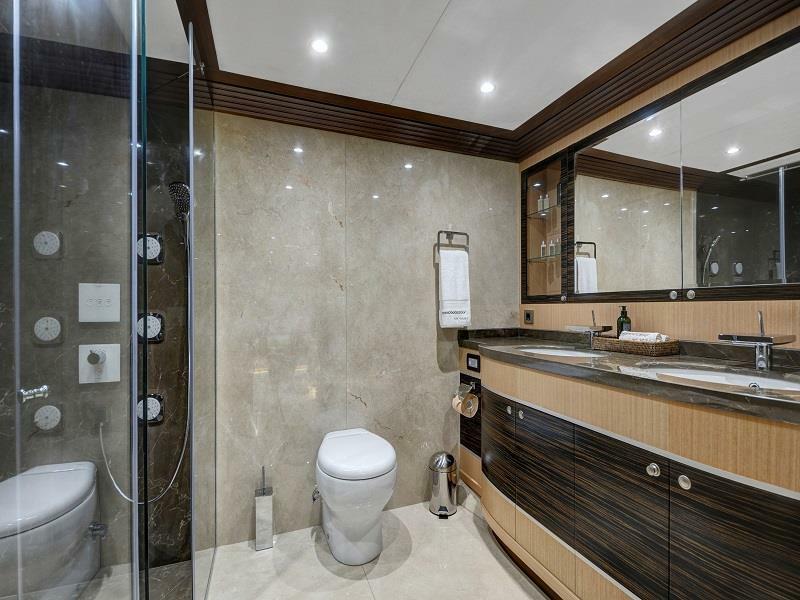 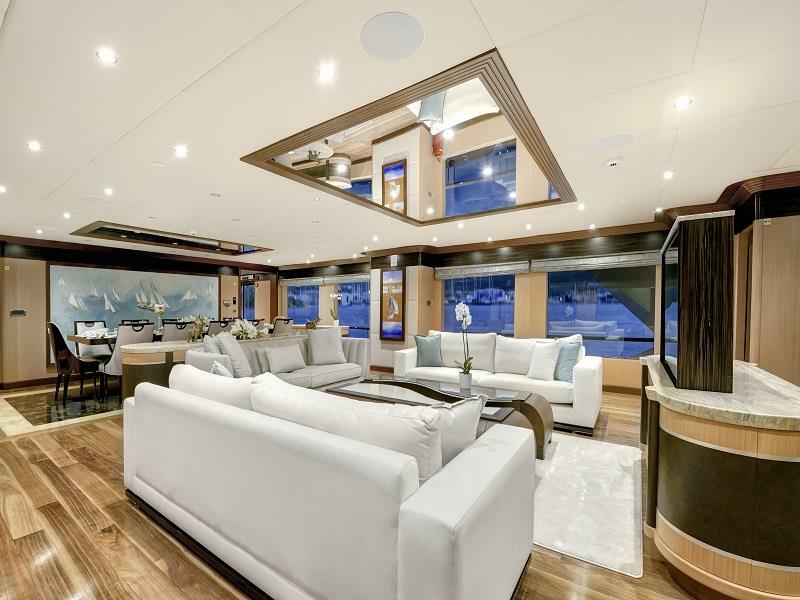 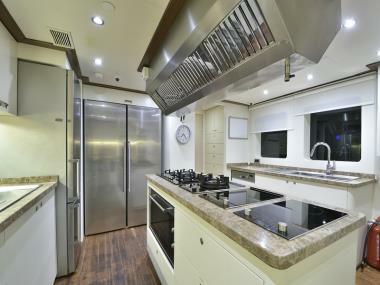 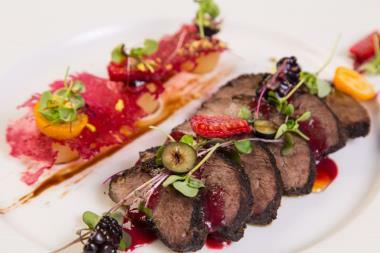 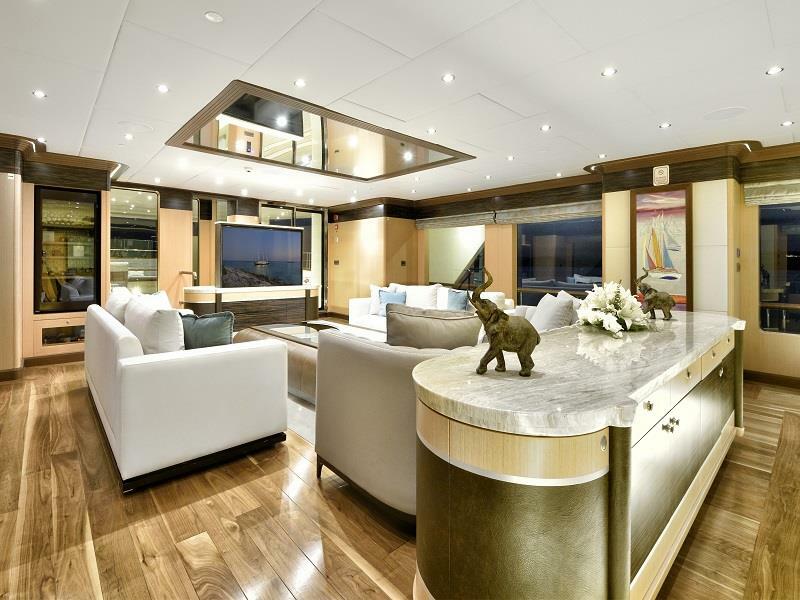 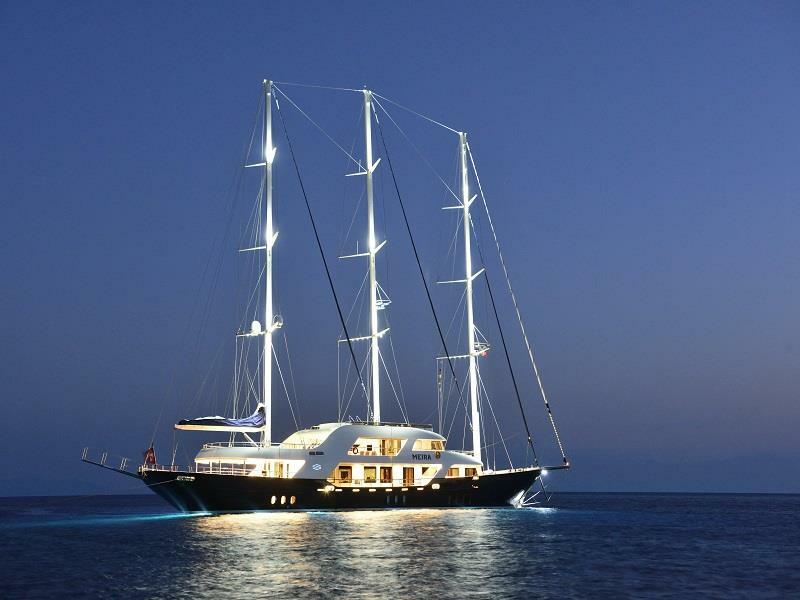 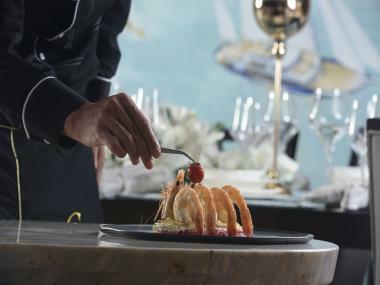 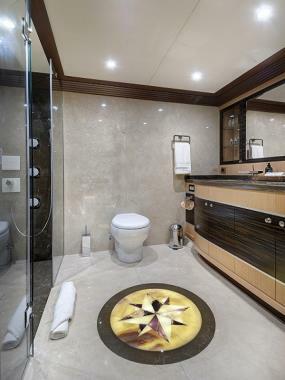 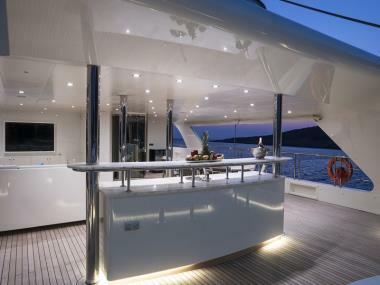 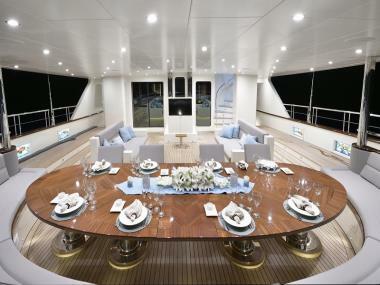 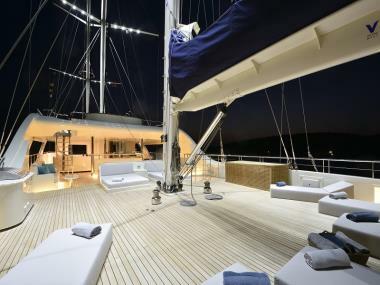 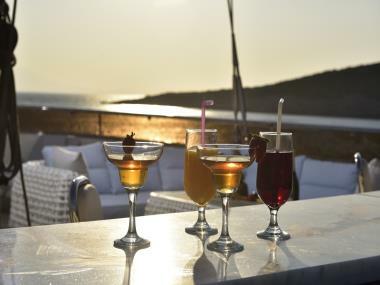 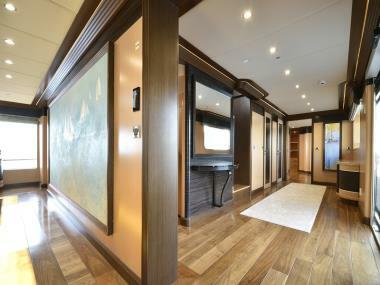 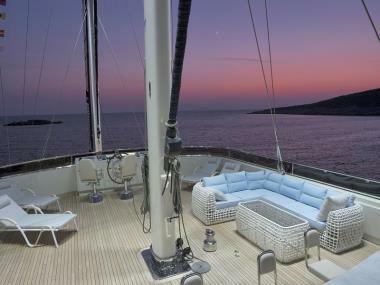 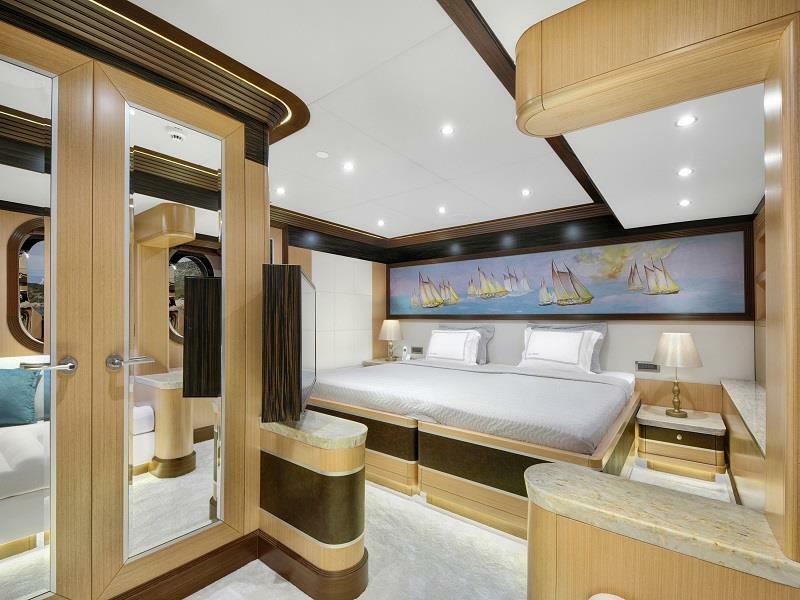 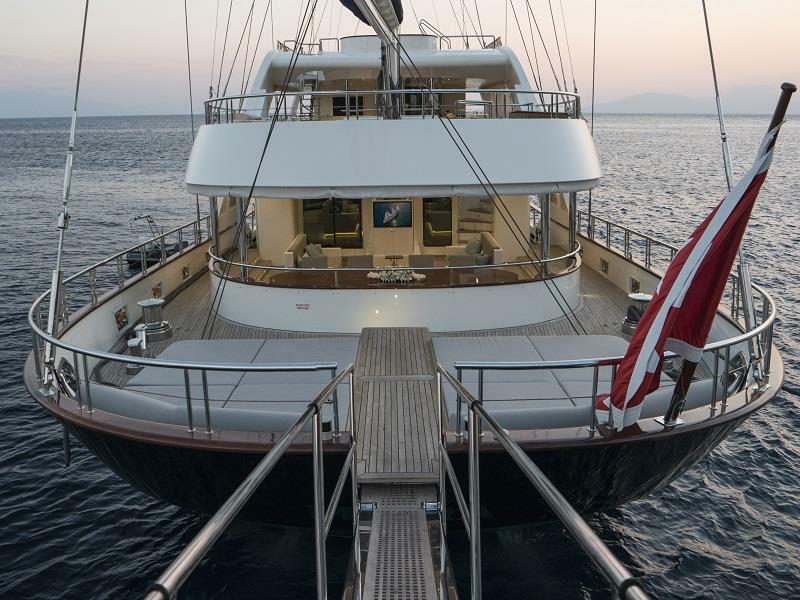 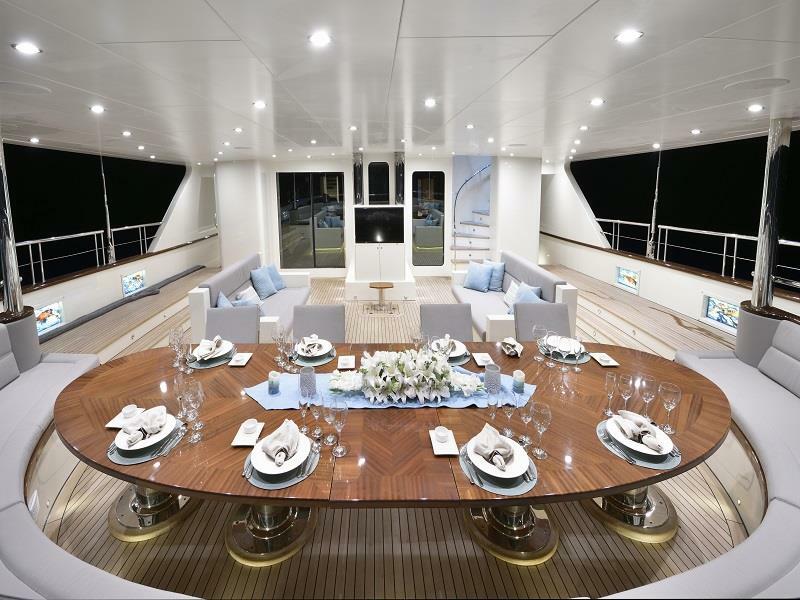 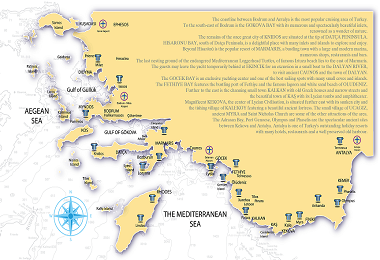 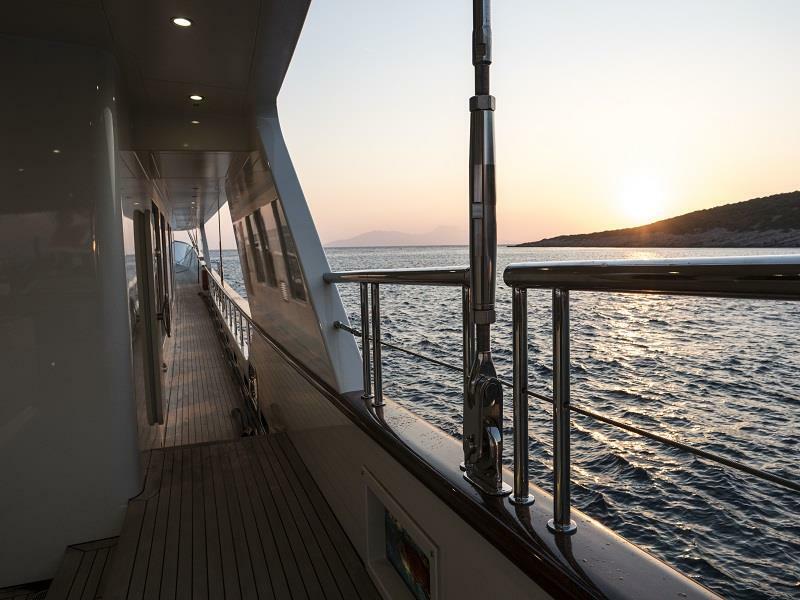 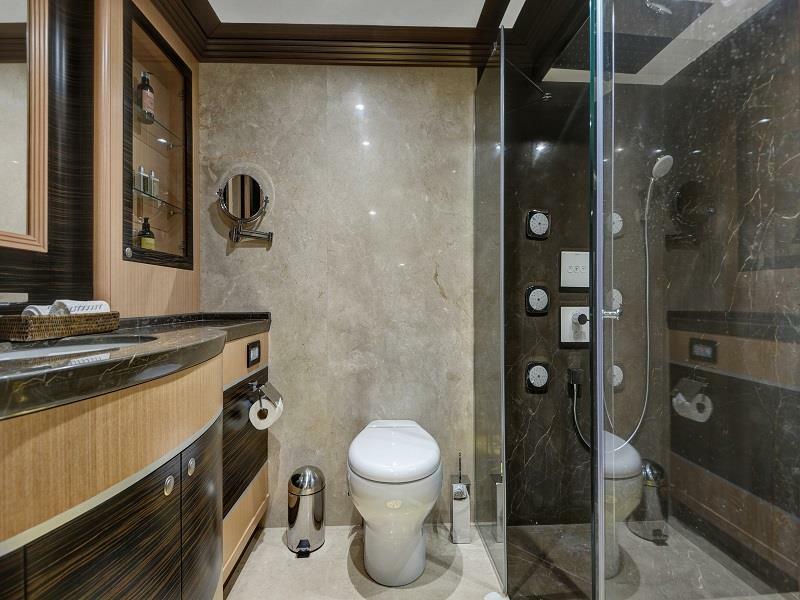 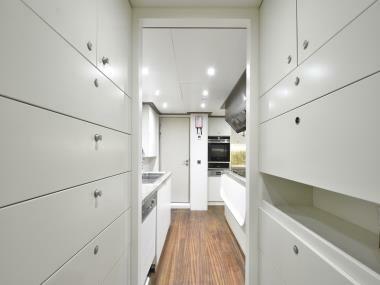 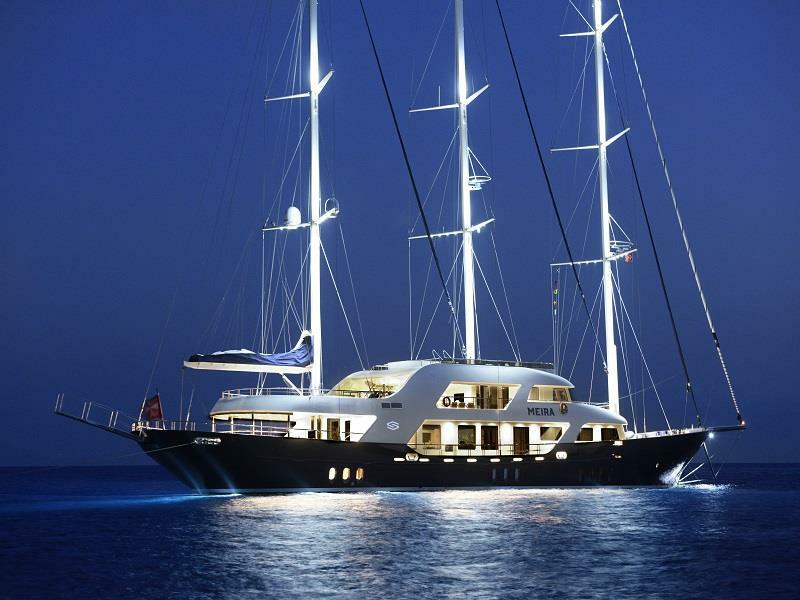 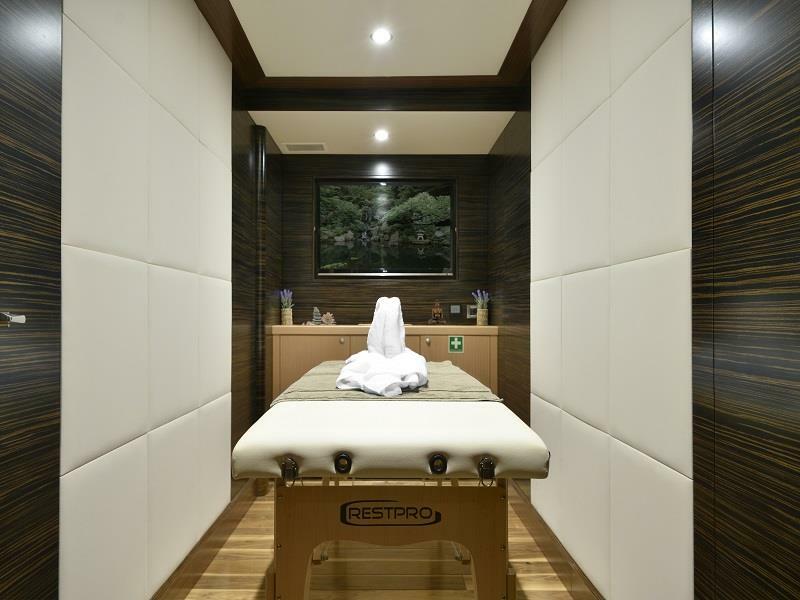 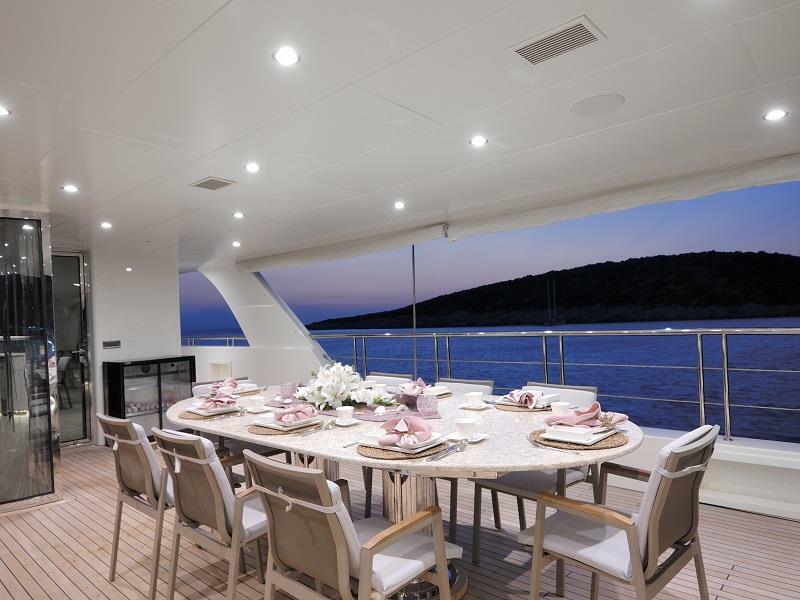 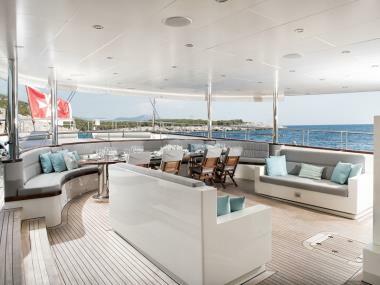 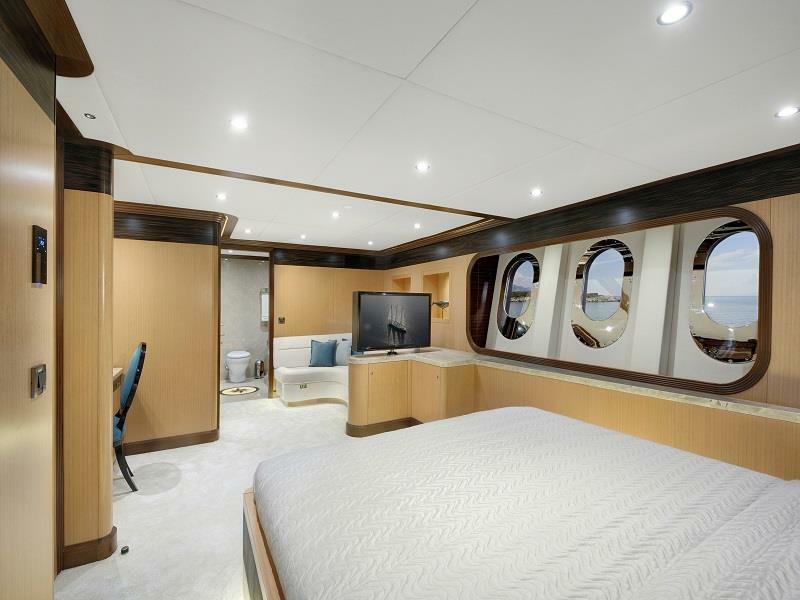 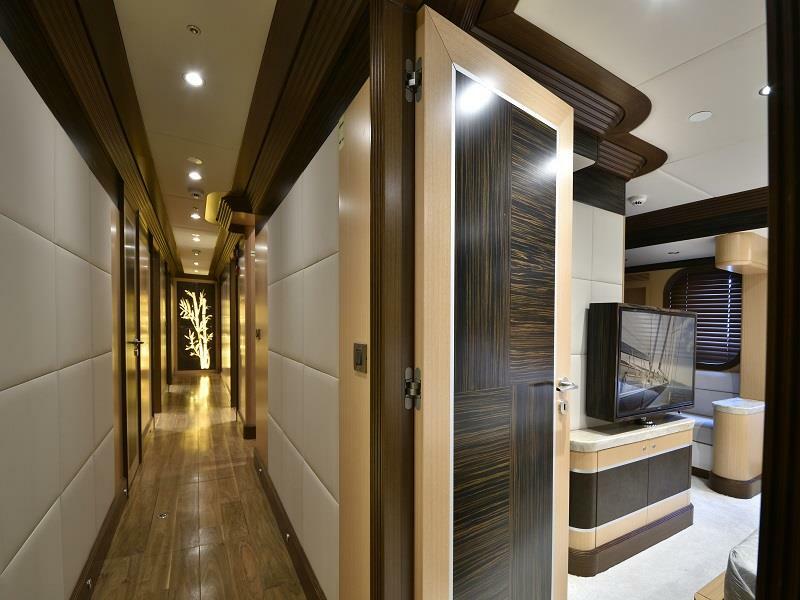 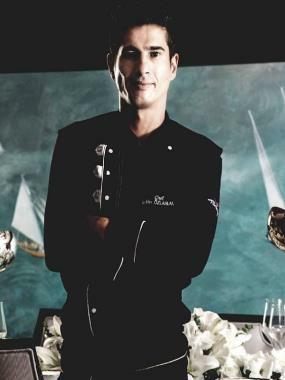 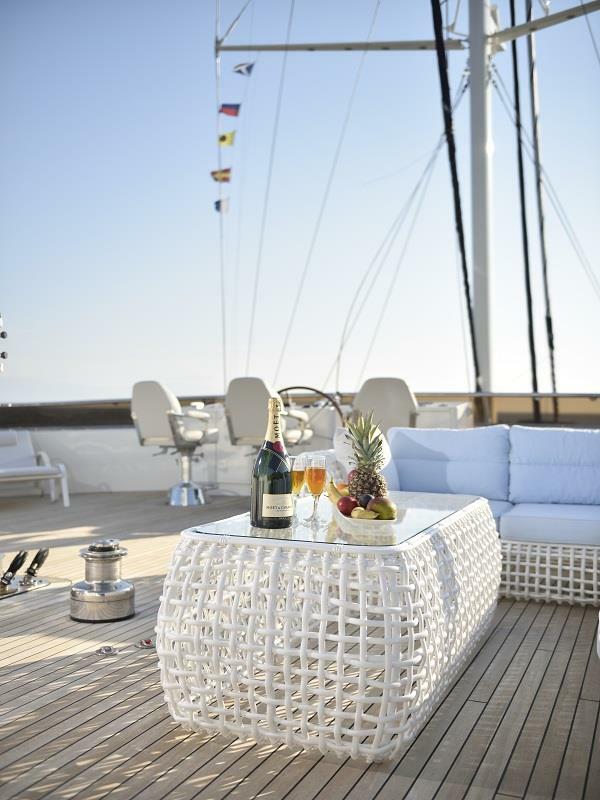 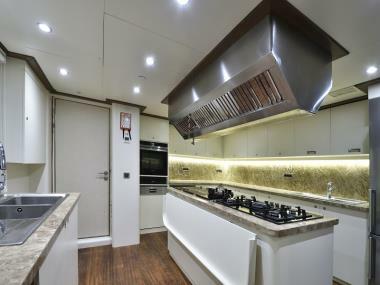 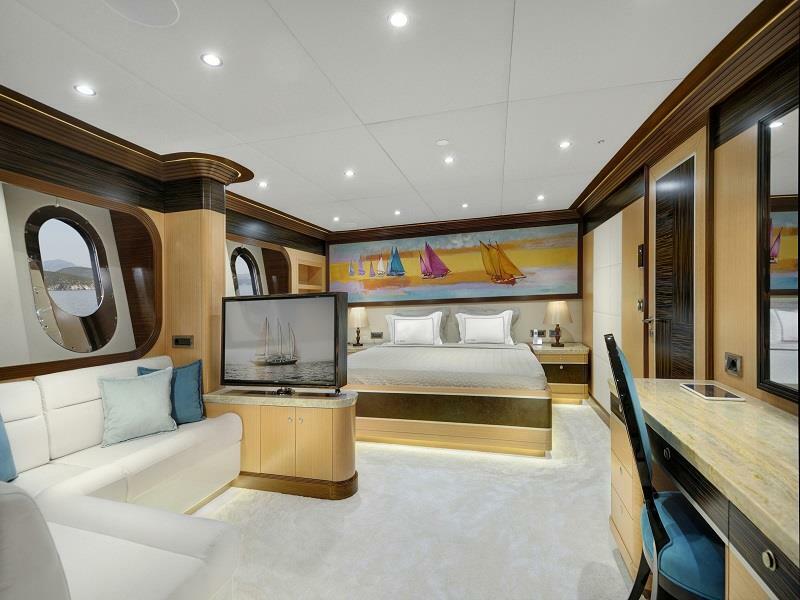 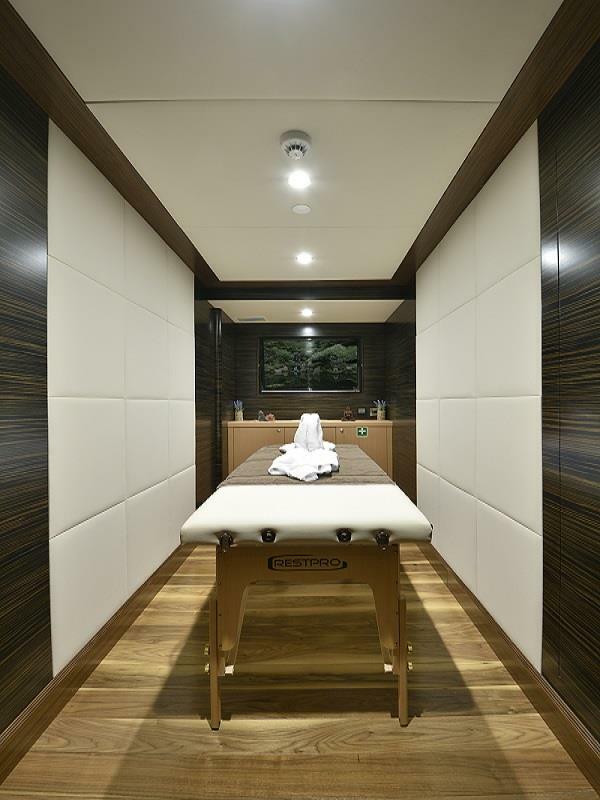 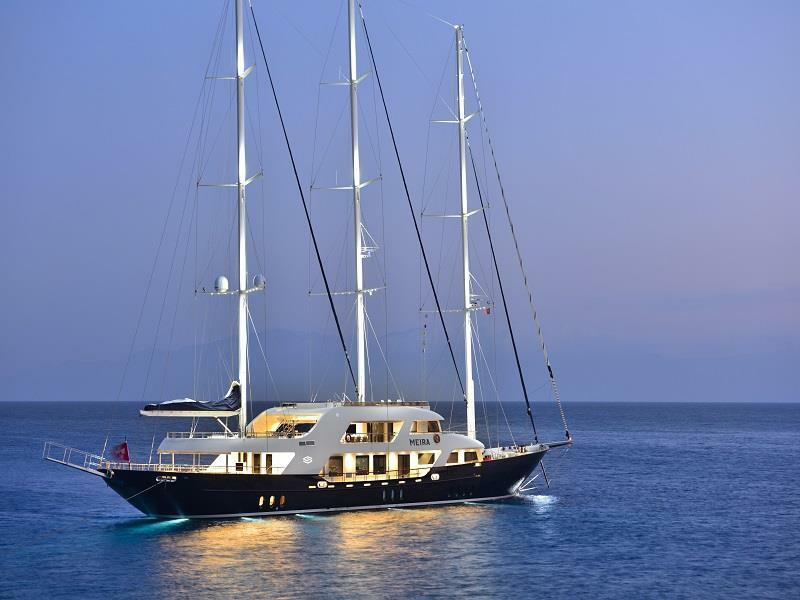 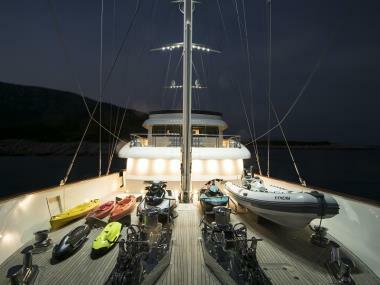 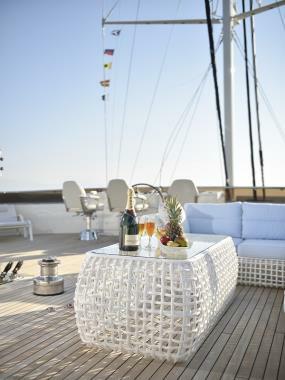 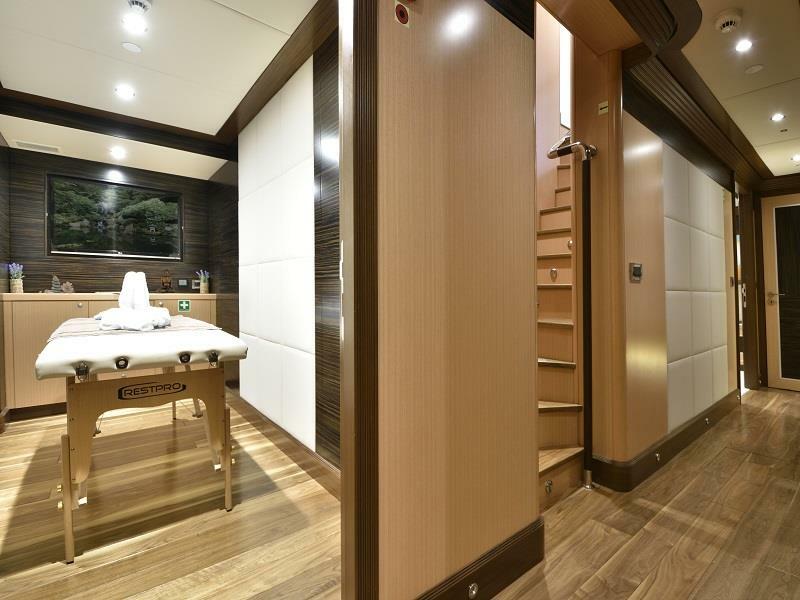 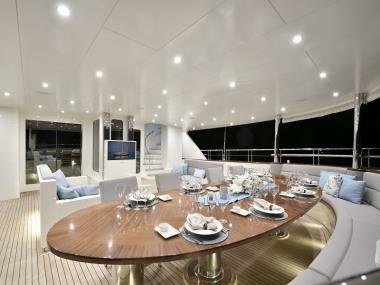 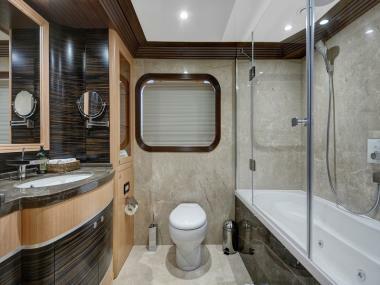 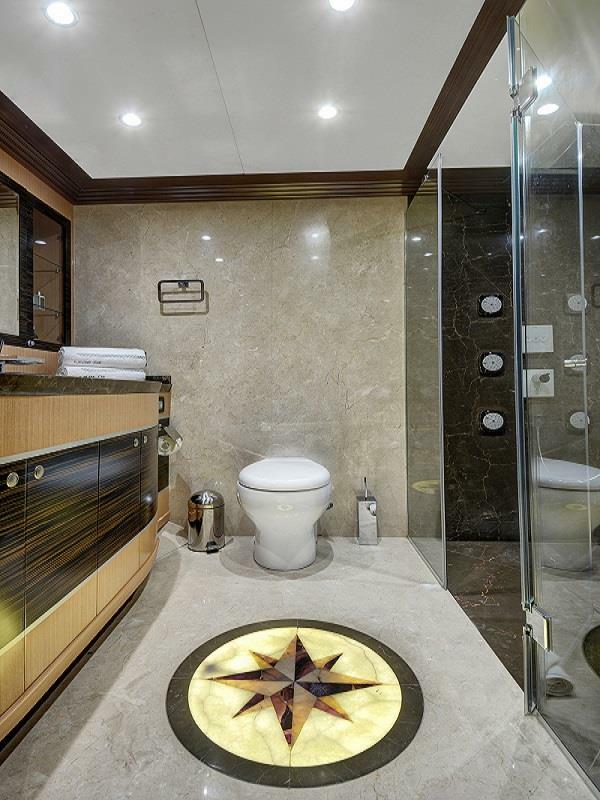 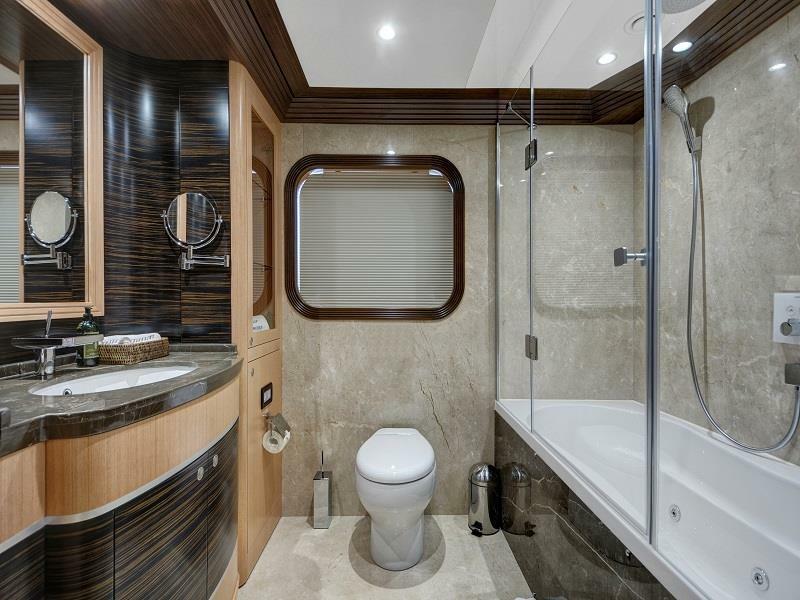 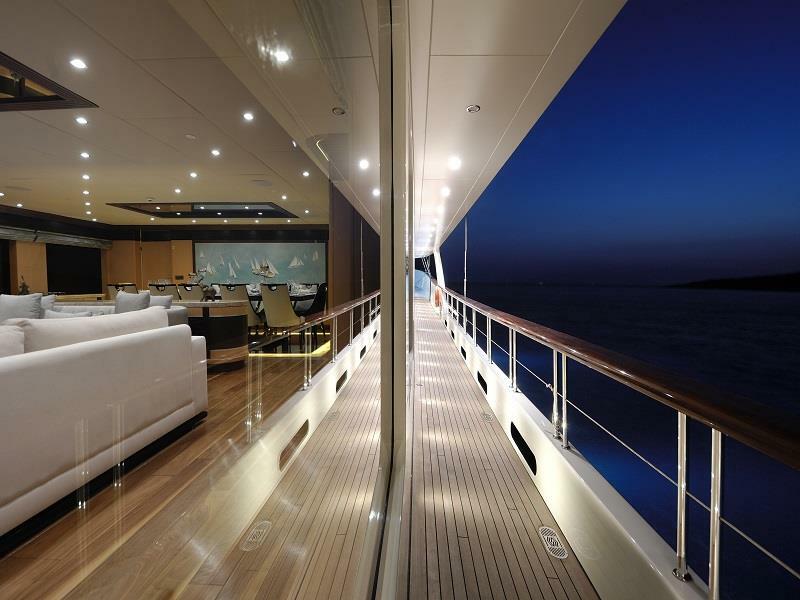 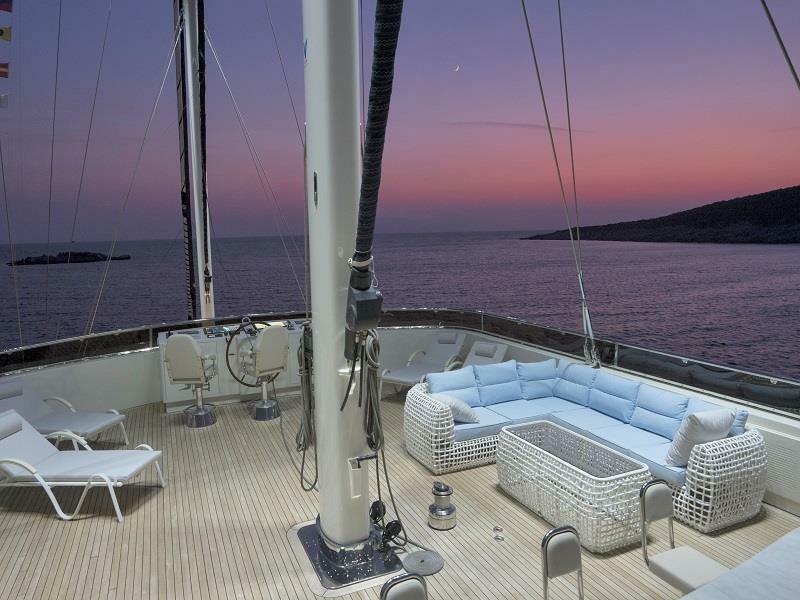 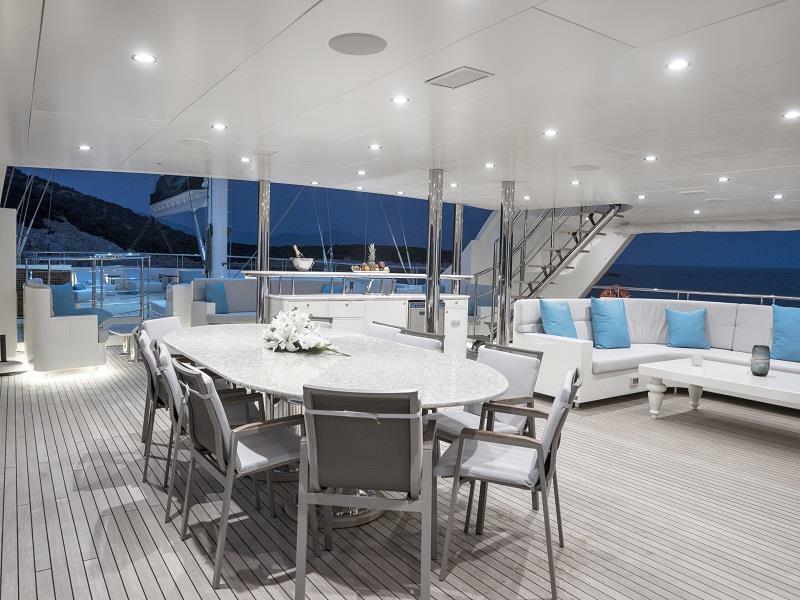 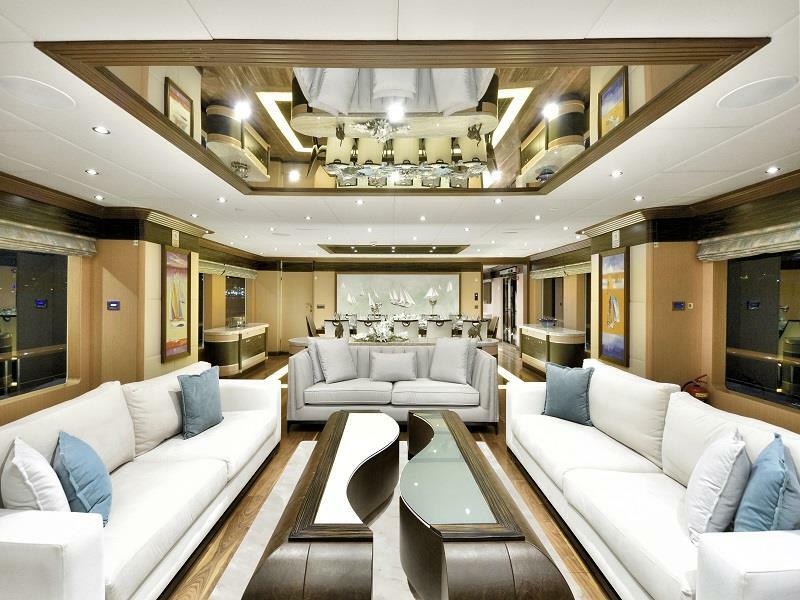 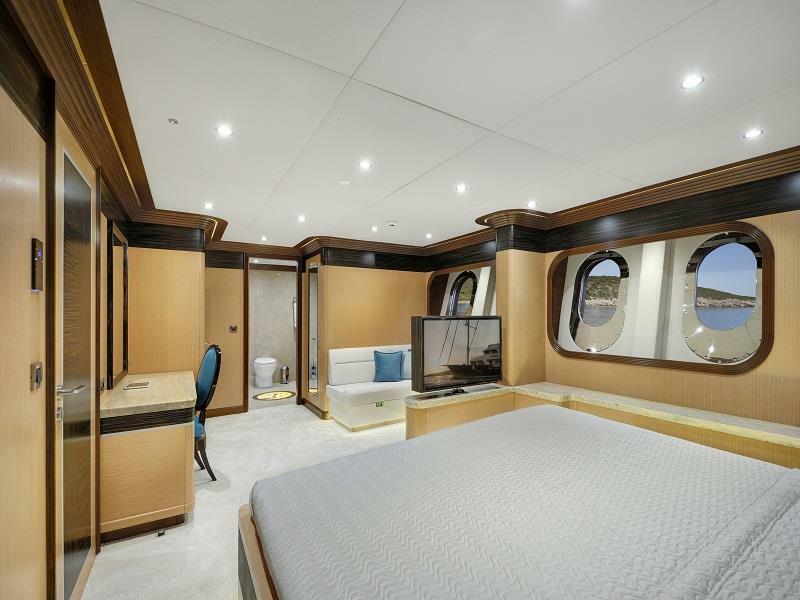 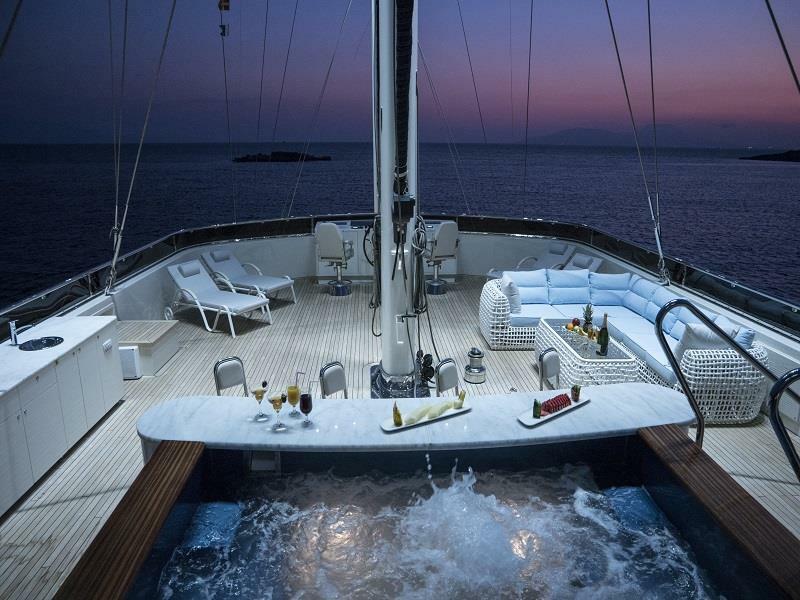 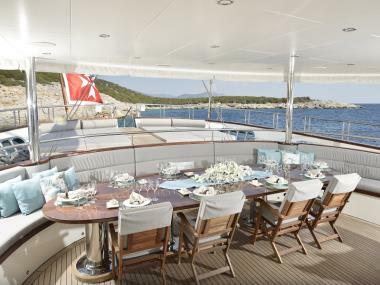 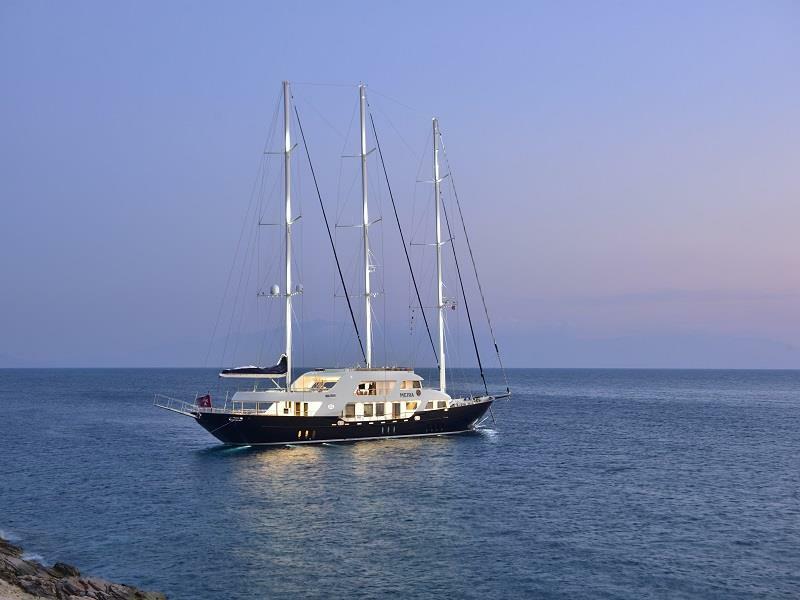 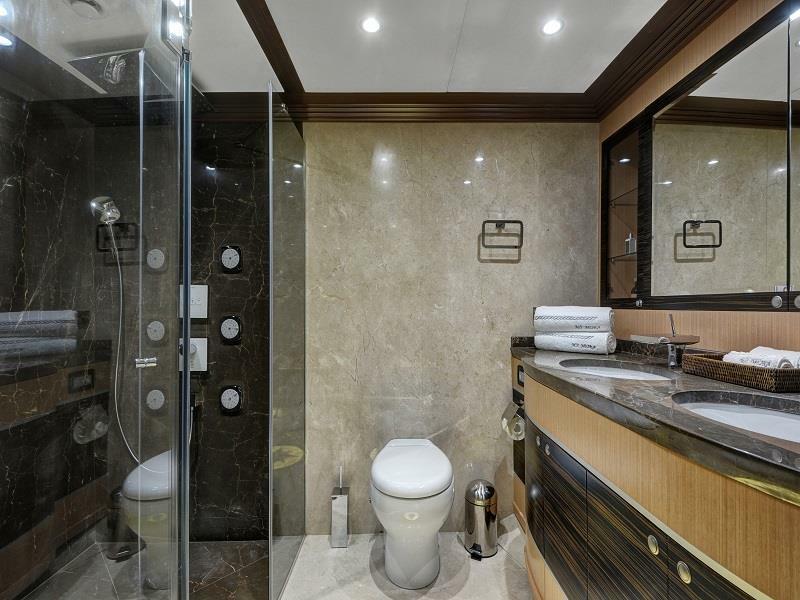 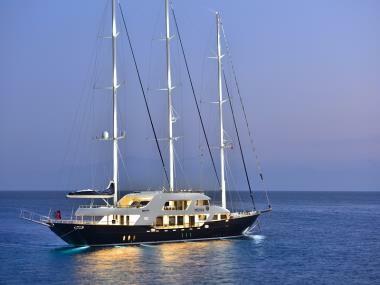 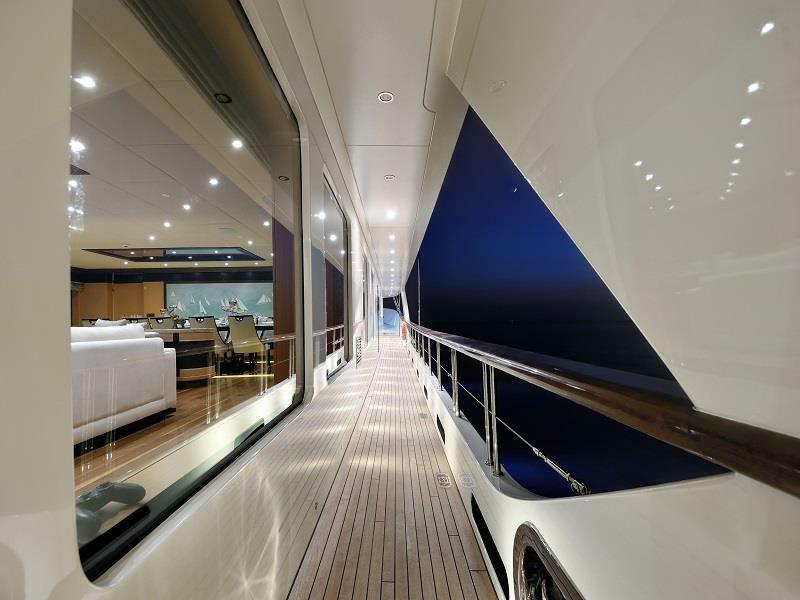 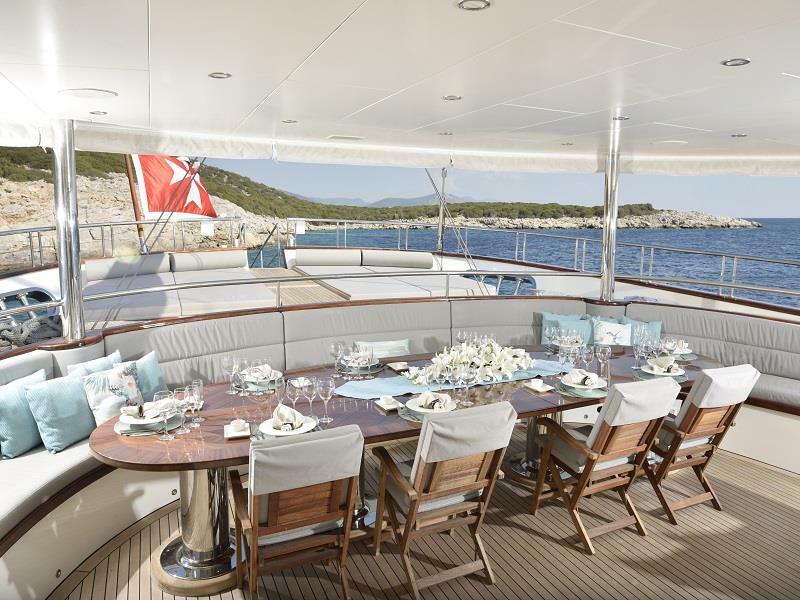 She features a variety of amenities to ensure comfortable charter vocations.